Iceland tops many people’s bucket lists, and with good reason. 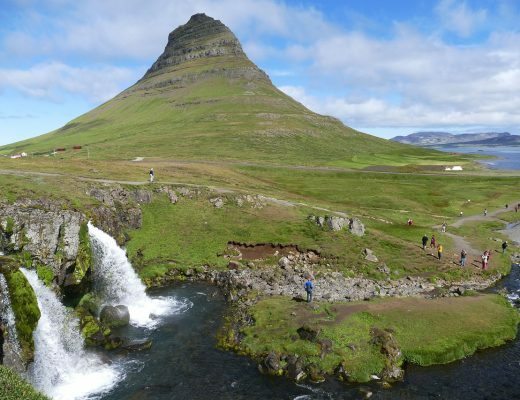 This country has natural beauty nearly everywhere you look, and the variety of landscapes you’ll see on a trip to Iceland simply boggle the mind. In a small package, you can see everything from glaciers to volcanoes to continental rifts to fjords to lava formations and black sand beaches – and I could go on and on. Iceland is a bit like the world in miniature – very miniature, in fact, as it’s roughly the same size as the state of Ohio. Still, despite the small size of Iceland, you do need to dedicate a good bit of time to truly see the country’s magnificence. I think 7 days in Iceland is a good start: one week in Iceland will give you enough time to get away from the crowds surrounding Reykjavik who don’t stray far from the capital on their short trip to Iceland. While many Iceland itineraries will have you heading south, I wasn’t interested in rehashing everyone’s Iceland bucket list, but instead checking off my own. In partnership with Iceland Travel, I rented a car with their companion app to help me travel around the country smoothly. The benefit of booking a rental car with Iceland Travel (who partner with Hertz) is that they help with the itinerary planning and hotel booking part of your trip, so that all you have to do is use their companion app to help you decide what stops you want to make that day. It’s got the convenience of a guided tour in terms of planning but with all the benefits of traveling independently with your own rental car. You can make your own booking here, or you can replicate my 7-day Iceland itinerary below to get off Iceland’s beaten path and explore beautiful Western Iceland. 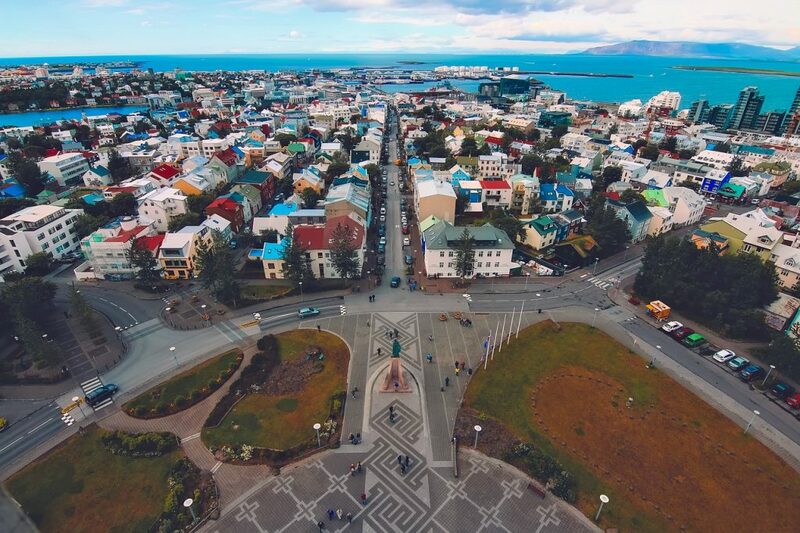 It’s inevitable that you’ll start and end your week in Iceland in Reykjavik. Most flights get into Keflavik International Airport (KEF), which is located about 45 minutes away from Reykjavik proper. I actually was the rare exception to this rule, arriving at the teeny tiny Reykjavik International Airport in the city center because I was flying in from the Faroe Islands on Atlantic Air, one of the few airlines that serve REK. Most airlines, however, will fly into Keflavik, so you’ll want to double check that your rental car is reserved at the proper airport. Some people skip Reykjavik entirely, but I think that’s a mistake. Nearly one-third of Iceland’s population lives here, so understanding Reykjavik is crucial to understanding Iceland as a country. Luckily, Reykjavik is more like a big small town, so it’s pretty easy to see the highlights of Reykjavik in just a day’s sightseeing. I recommend starting at the beautiful cathedral in the center of Reykjavik, Hallgrímskirkja. 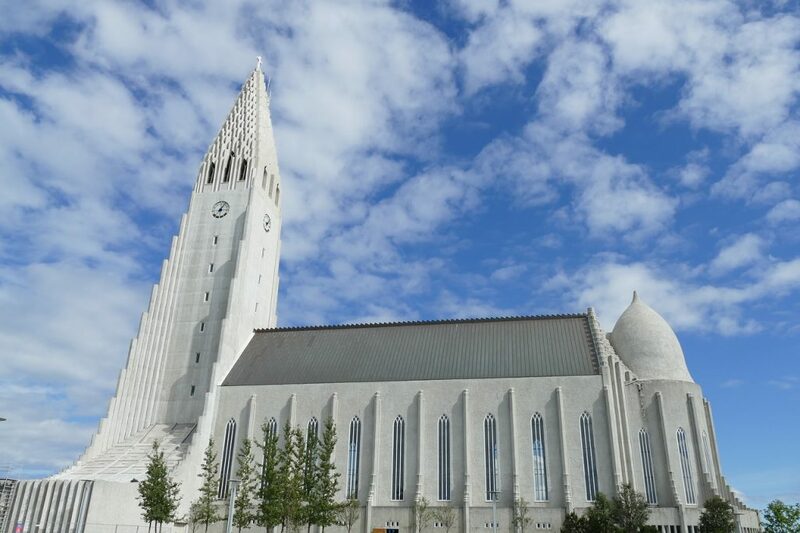 Whereas many capital cities have incredibly old and historic churches, Reykjavik does it a bit differently with an ultra-modern expressionist church which was completed in 1945. 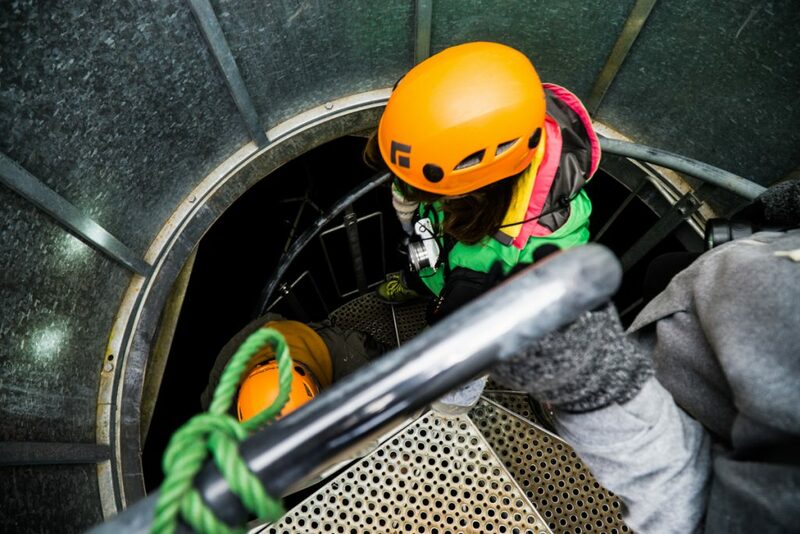 I recommend splurging on buying entrance to the top of the tower, where you can get the best view of Reykjavik for 900 ISK (about $9 USD). Be sure to walk around the church a bit, as it looks super different from different angles. It’s a lot of fun to photograph – each side gives you a totally different idea of its shape and size. After checking out the church, walk through the center of town, admiring all the cute shops along the way. 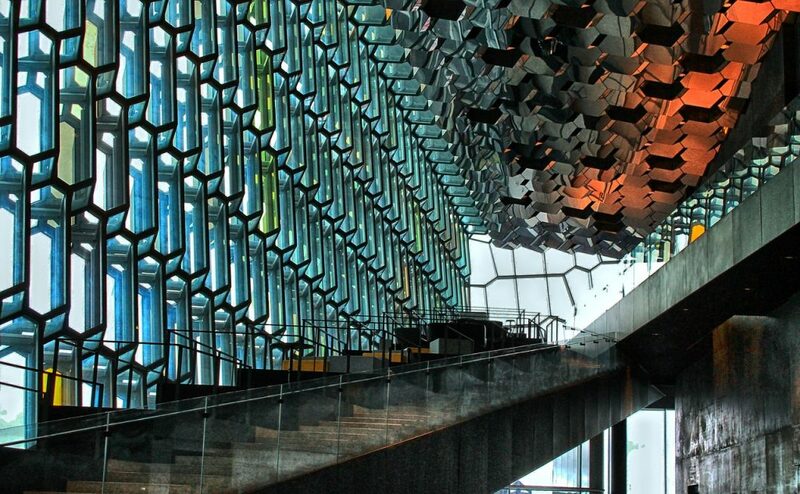 Head over to the Harpa concert hall on the waterfront, which is Reykjavik’s other most iconic piece of architecture. I love how the structure seems to blend into the harbor behind it during the day time (then puts on a light show at night!). Be sure to go inside (entrance is free, unless there is a private event happening) – the interior is even more interesting than the exterior, in my opinion. It’s a great place to get some unique Instagram shots! After checking out the concert hall, you’ll want to walk along the waterfront a little bit. Keep in mind that it can be insanely windy along the waterfront, especially if you’re in the middle of a wind storm (not uncommon, even in the summer!). When I was in Reykjavik, the wind was gusting up to what felt like 50 mph. No matter what time of year you visit, you’ll want to wear a strong, wind-proof jacket (I brought my Marmot PreCip as my outer layer in the summer). When you’re walking the waterfront, be sure not to miss the Sun Voyager sculpture just a few minutes’ walk from Harpa. 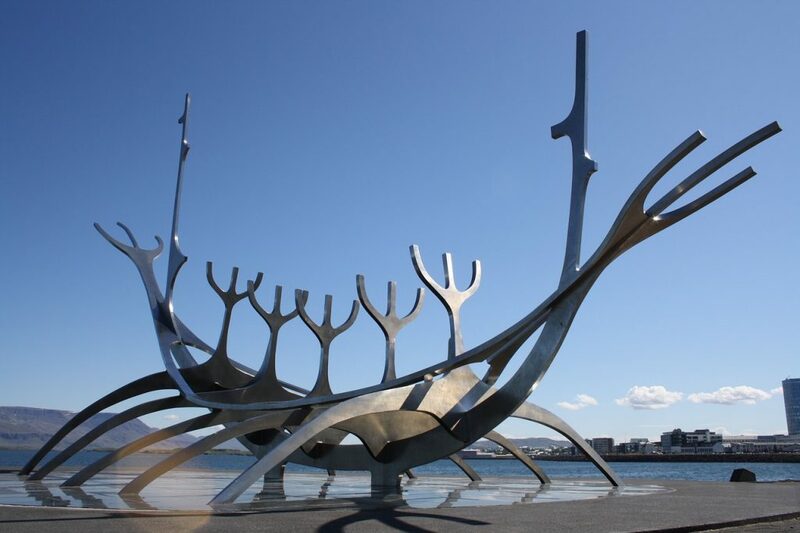 While the sculpture looks like a Viking ship and is widely interpreted that way by tourists, in actuality, the sculpture is supposed to represent a “dream boat”, oriented towards the sun. (I still see Vikings, though). For dinner, there are a ton of options – it really depends on your budget. Unfortunately, everything you’ve heard about Reykjavik is true – it is insanely epensive, probably the most expensive city I’ve ever been to outside of Switzerland. Restaurants will eat up your Iceland budget quickly. If you’re curious about Icelandic cuisine, you could do a food walk through Reykjavik to get a lot of tastes of different things all at once. I ate at Block Burger, which served up super tasty hamburgers for a relatively reasonable price. A small burger is about 1200 ISK ($12) and around 1900 ISK ($19) for a complete meal with fries and a soda. While this isn’t a good ‘deal’ in the global sense, it is one of the cheaper options in Reykjavik. Other people will recommend you eat at the place that serves up “Iceland’s best hot dogs” if you’re on a budget, but I honestly don’t recommend you do that – trust me, by the end of your week in Iceland, you’ll have eaten so many hot dogs on the go that you’ll never want to even see another hot dog again! There are plenty of other nice restaurants to eat at in Reykjavik but be prepared to spend at least $30-50 USD per person for a simple meal without alcohol. Hotel to Stay At: I stayed at Centerhotel Arnarhvoll just across the street from Harpa Concert Hall and highly recommend it! 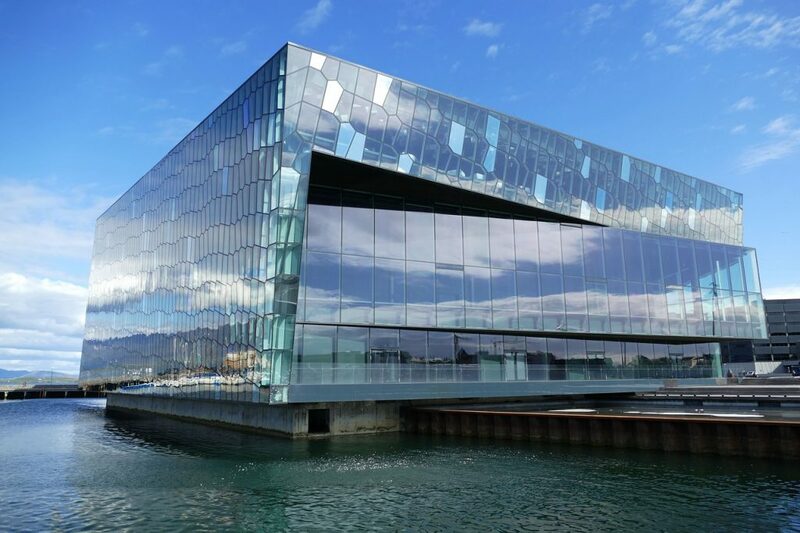 The location in the center of Reykjavik is fantastic: the Harpa concert hall (and its nightly light displays) are literally right outside your window, and you are just a few minutes’ walk from some of Reykjavik’s best attractions and restaurants. The room is spacious and modern, and I loved the bathroom which had a great tub to soak in and relax before starting my week in Iceland. The breakfast in the morning was fantastic as well! 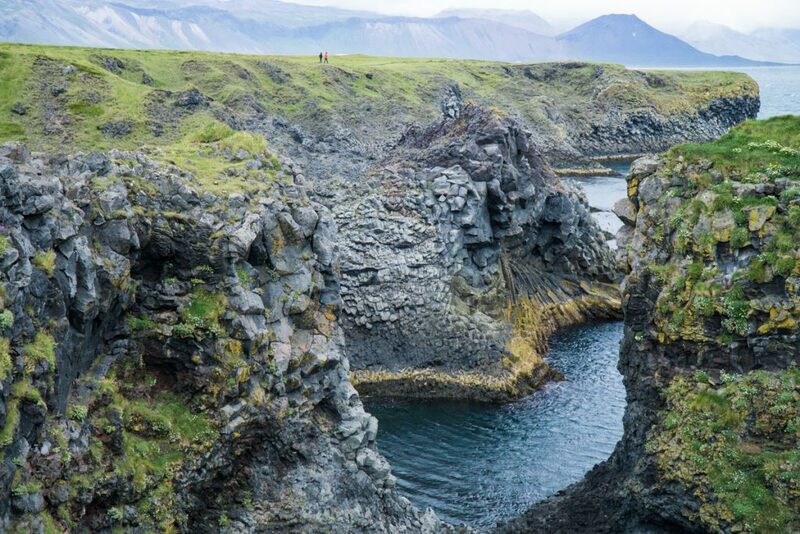 Nicknamed “Iceland in Miniature,” you’d be foolish to skip the stunning Snæfellsnes peninsula on your Iceland itinerary. In this small 90-kilometer-long finger of Iceland, you’ll find black sand beaches, stunning sea cliffs, ancient glaciers, gushing waterfalls, and natural hot springs all in one beautiful package that can easily be seen in a single day. 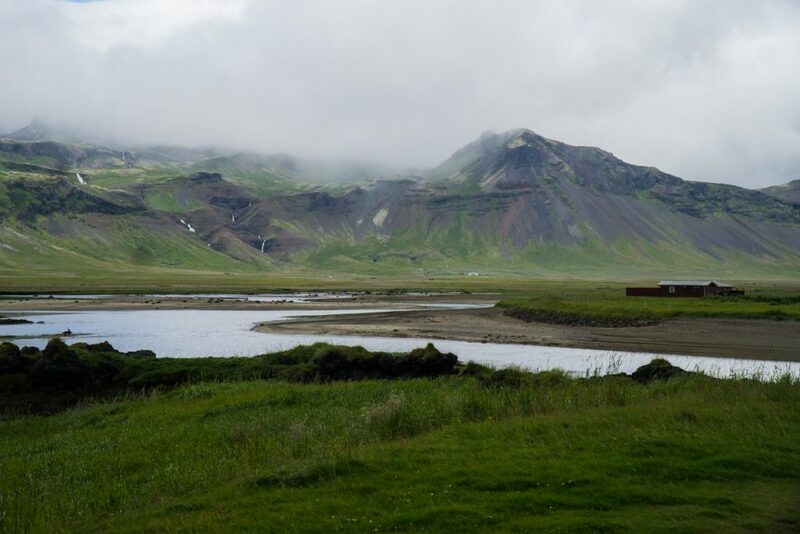 This is a whistle-stop tour of the highlights of this peninsula, but Iceland Travel also has a road trip itinerary for a more in-depth 4-night tour of the Snæfellsnes peninsula, which you can check out here. To maximize your Iceland itinerary, I recommend starting at Kirkjufellsfoss and then working counter-clockwise through the peninsula to avoid doubling back and to get better light at Kirkjufellsfoss. 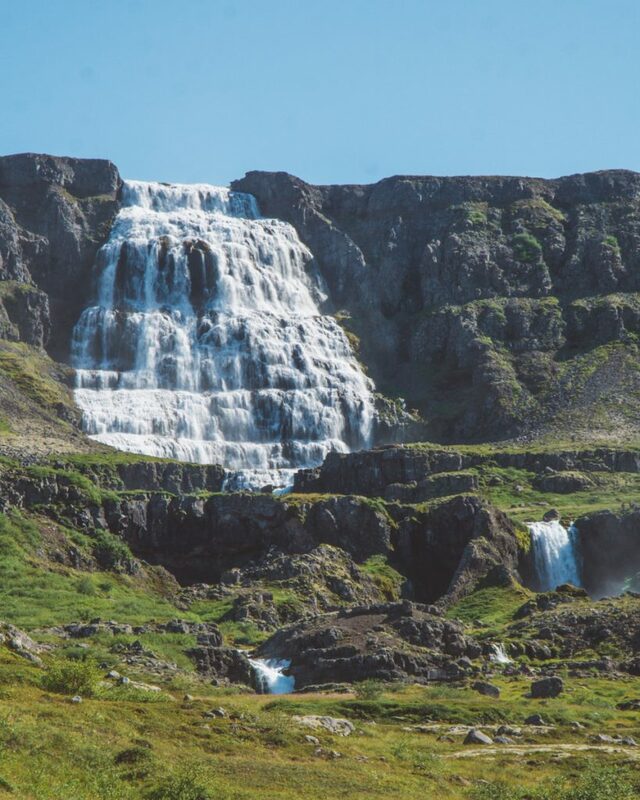 However, if you chose to stay somewhere closer to Kirkjufellsfoss, such as Grundarfjörður, Olafsvik, or Rif, then you could do this day’s itinerary in reverse. Kirkjufellsfoss is truly spectacular and it’s one of those waterfalls that likely influenced you to buy a ticket to Iceland in the future. It’s rather popular and unless you show up at sunrise you’re likely to share your view of Kirkjufellsfoss with quite a few of your closest tourist friends. Kirkjufellsfoss can be a bit difficult to photograph. If you go there in the evening, there will be a big shadow cast on Kirkjufell (the mountain in the photo) by the mountain behind you, leading to unevenly lit photos. To get the best possible photo, you’ll want to use a wide angle lens, a tripod, and some ND filters which will block light from streaming into your camera so you can get a nice long exposure to smooth out the water. On the day that I was visiting the Snaefellsness, there was a massive windstorm (continuing from the previous day in Reykjavik) and the wind was too strong to set up my flimsy tripod. You may want to consider investing in a sturdier tripod for photographing in Iceland as the wind gusts can be really strong. 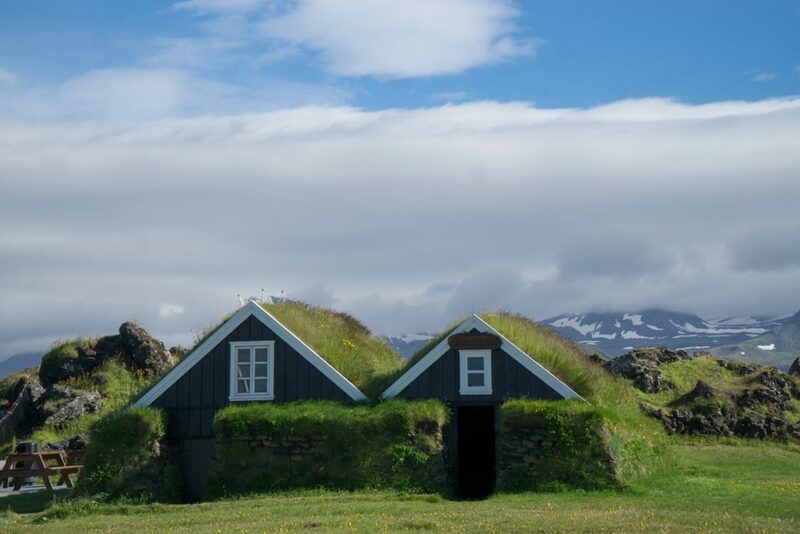 If you want, you could make a small detour while you’re here to Grundarfjörður to do a puffin tour, where you go out on a boat to see one of their favorite nesting spots, Melrakkey Island. However, this tour only runs if you are visiting during puffin season, between early June and early August. Check out and pre-book a tour here. 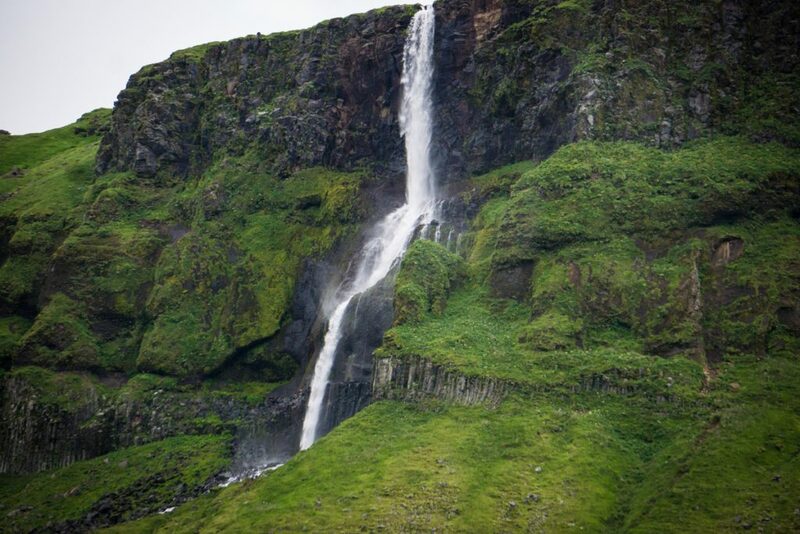 After admiring Kirkjufellsfoss, start driving towards the coastline, passing through Ólafsvík. 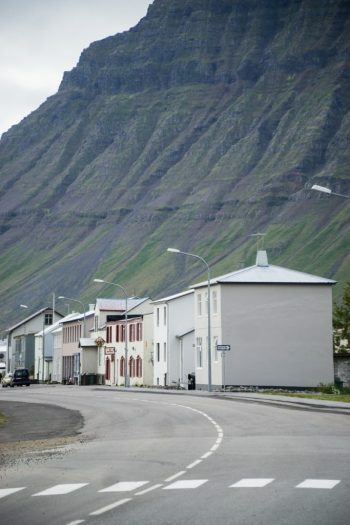 This is a “big town” by Icelandic standards; in fact, it is the westernmost town of more than 1,000 people in Europe! If you’re a fan of modern architecture, check out the beautiful, eclectic Ólafsvíkurkirkja (and be sure to turn around and gawk at the beautiful waterfall behind you, which I believe is called Bæjarfoss). If you have a nice zoom lens, you’ll be able to photograph this from the church parking lot! 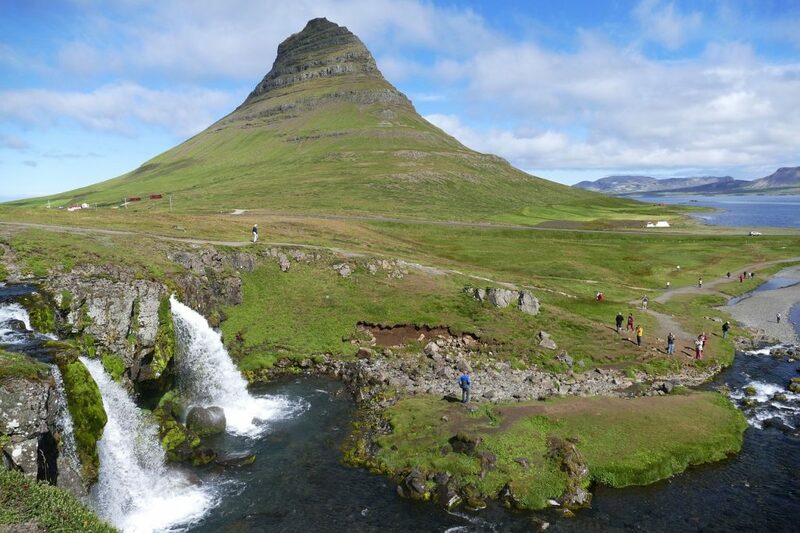 Yup, waterfalls and churches all in one panorama – that’s Iceland in a nutshell for you. Betweens Olafsvik and Hellissandur you can make a brief stop at Svöðufoss, another one of Iceland’s beautiful waterfalls — y’know, just in case you haven’t gotten your waterfall fix yet today. In Hellissandur, many people enjoy visiting the Maritime Museum there, which is housed in traditional turf roof houses. If you’re a history geek curious to learn about the region’s former significance as a fishing hub, it’s a can’t-miss. 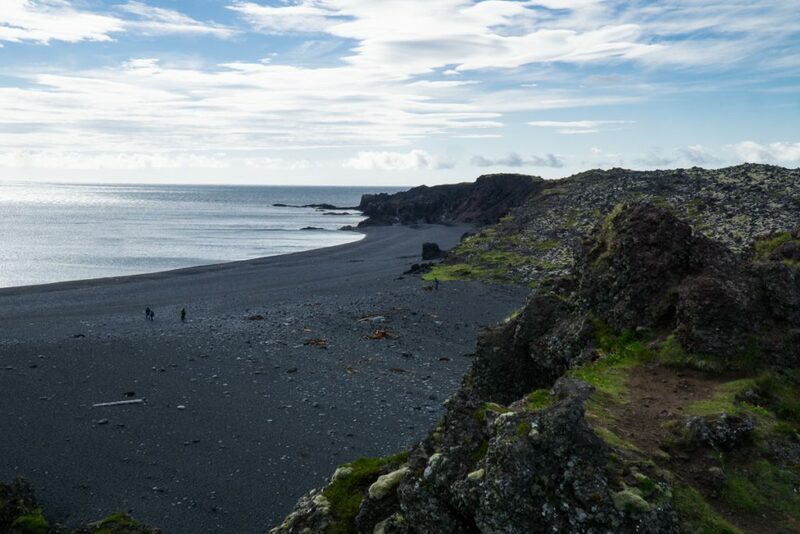 Next up, you’ll pass by a beautiful black sand beach at Djúpalónssandur, which is nicknamed a “black lava pearl beach” for its sand made of tiny, rounded pebbles of ancient lava rock. This is due to the uniquely strong tide, which churns the chunks of lava into perfectly polished stones, like rocks in a tumbler. That said – please do not take any rocks from the beach, as lovely as they are, as you can disturb the habitats and ecosystems of the tiny creatures who call Djúpalónssandur home. There are signs everywhere warning you not to go in the water, which you should heed. Again, the tide is extraordinarily strong here, so now is not the time for a ‘polar plunge’ – there are plenty of other beaches in Iceland that are safer for swimming. Just look at the scraps of metal left from shipwrecked boats and you’ll understand why this isn’t a place to dip your toes in. As a result of this extreme tide and the unique rock formations that result, several legends have arisen about this area. Some Icelandic people claim that the rock formations of the beach are actually the work of trolls and elves. I’d put my money on time and erosion – but who’s to say? A little further down the peninsula in Snæfellsjökull National Park, you’ll find Vatnshellir Cave, which is made of a series of lava tubes that erupted 8,000 years ago. You can only visit on a tour for safety purposes: the lava tubes are pitch black and you’ll need a strong flashlight and guide to know what to look for. I recommend pre-booking your lava tube tour here. My friend Stephanie always teases me for being a cave nerd but I truly find geology fascinating. It was amazing to learn how this cave formed nearly instantly as a result of a lava flow. 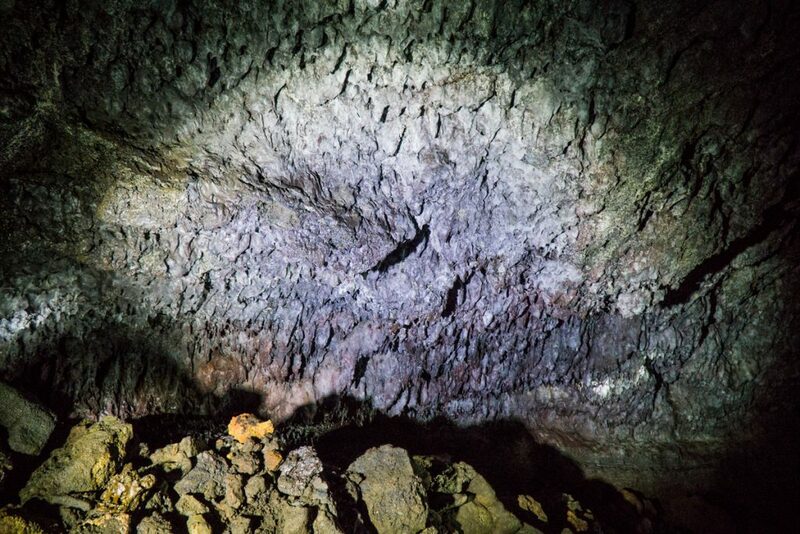 Whereas in a typical cave, stalagmites and stalactites may have taken centuries upon centuries to form, the rock formations in this lava tube took mere days to shape and cool. You can go quite deep into the cave — so deep that there is absolutely no external light — and experience true pitch blackness when your entire group turns off their flash lights. It made me realize that true, impenetrable darkness is actually quite rare: the feeling of pure darkness is disorienting, almost like floating. It was quite the experience. Be sure to keep an eye on the ground when walking in the cave, as the rock is not level and is quite craggy. You’ll definitely want a pair of closed-toe shoes for it. (These are the hiking boots I brought to Iceland). I had wanted to visit the Lóndrangar cliffs for ages, since I watched one of my favorite landscape photographers do a photography tutorial featuring the cliffs. 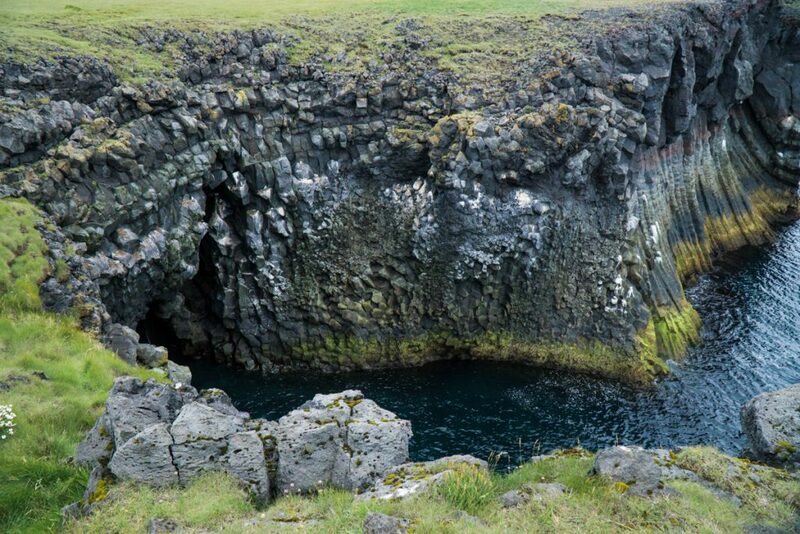 It’s quite a close drive from the Vatnshellir lava tubes, so it’s definitely worth visiting. This pair of marvelous basalt sea stacks (the taller one is 75 meters; the other, 61) were once part of a crater. But time and the elements have eroded them to this marvelous cliffside vista that is a popular hike today. Along the hike, if the time of year is right, you may even spot a few puffins! There’s a big parking lot just off the highway, and from there you can get this excellent viewpoint, or you can hike through an old lava field to the Lóndrangar sea stacks, which takes about 45 minutes to an hour roundtrip. At the base of the beautiful, imposing Mt. 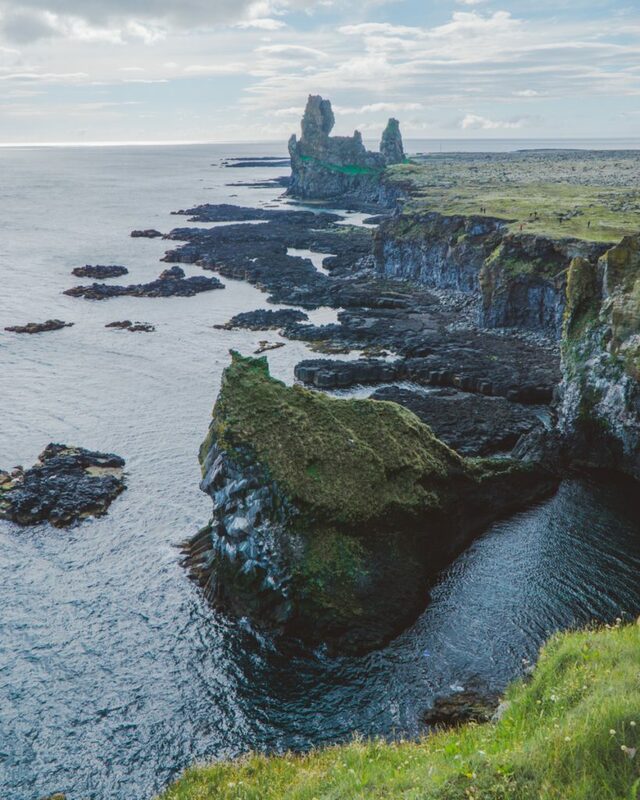 Stapafell is the quaint fishing town of Arnarstapi, which is famous for its beautiful sea cliffs. This was one of my favorite stops in the Snæfellsnes peninsula – I loved the seeing the basalt columns against the sea, which was an especially lovely vibrant shade of turquoise. 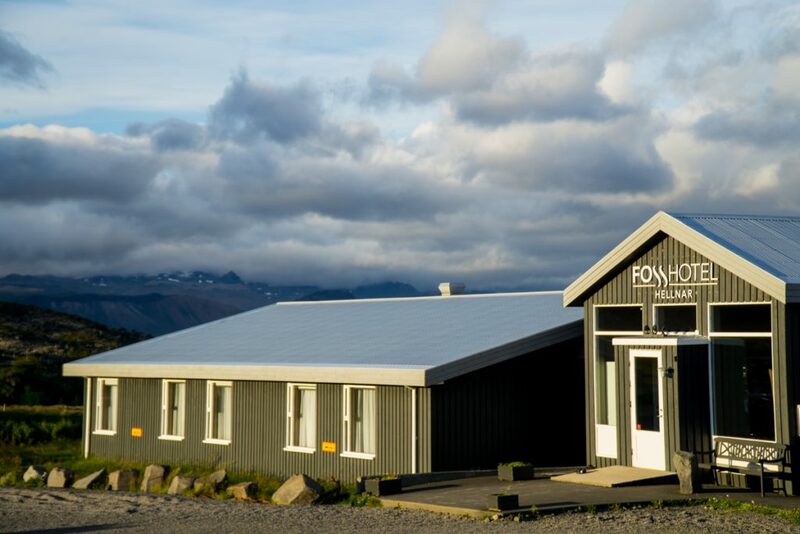 The Arnarstapi visitor center is also the meeting place for the Snæfellsjökull glacier excursion, which takes place daily in the summer months – weather permitting. Unfortunately, there was a wind storm when I was in the Snæfellsnes peninsula, so my glacier tour was cancelled. However, it’s hard to miss the beautiful Snæfellsjökull looming nearly everywhere on the peninsula. 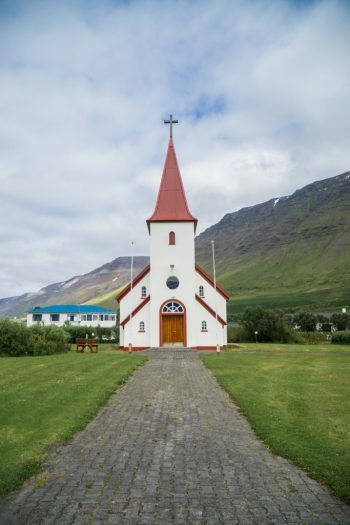 In a country famous for its churches, perhaps one of the most famous is Búðakirkja. 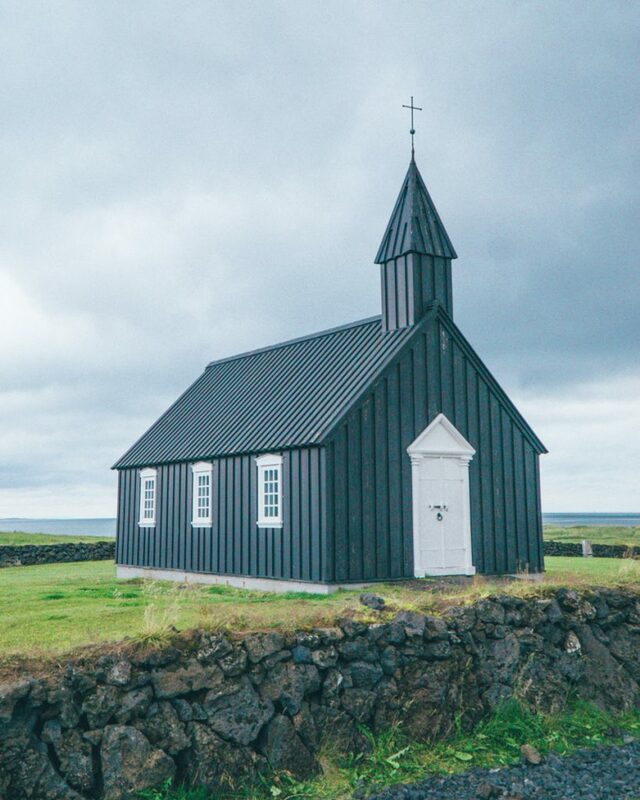 Located in the tiny village Búðir, which is home only to a hotel, a desolate lava field, and a lone black church, Búðakirkja is one of those places that attracts people from all over the world. If you have time, there are some hiking trails in the Búðahraun lava field around this church, which is a truly otherwordly landscape. 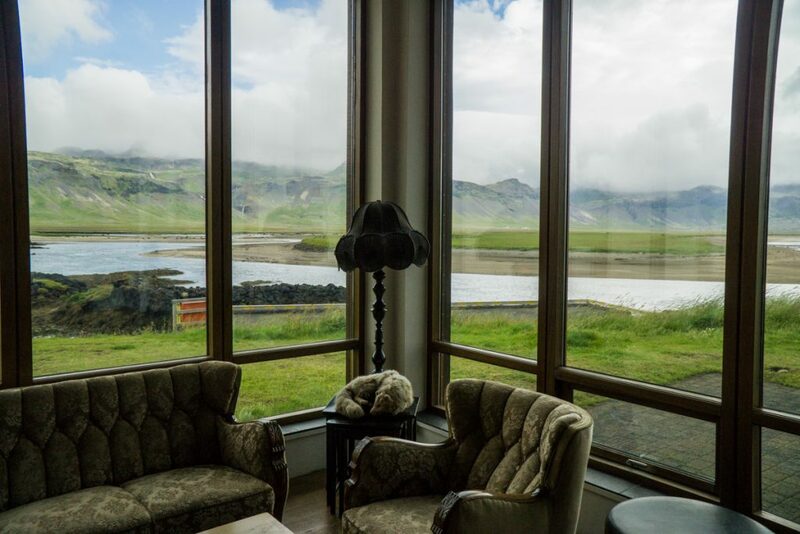 It’s also worth making a brief stop for a coffee in the marvelous lobby of the Hotel Búðir, which looks out onto an amazing bay which is also a nature reserve. The restaurant is supposed to be world-class as well, so definitely make a reservation for dinner here if you are looking for a memorable meal. Finally, head back towards Arnarstapi and continue a few kilometers onwards to the cute little seaside town of Hellnar, the ideal resting point for the night. 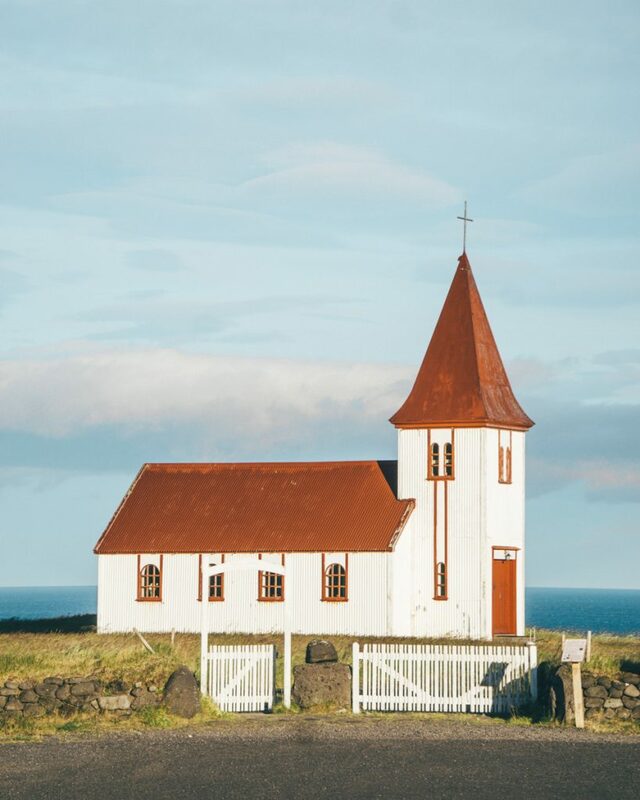 Don’t miss photographing the picture-perfect church near Fosshotel Hellnar, which looks amazing at the pre-sunset golden hour, especially how the red roof juts against the backdrop of the beautiful Atlantic. 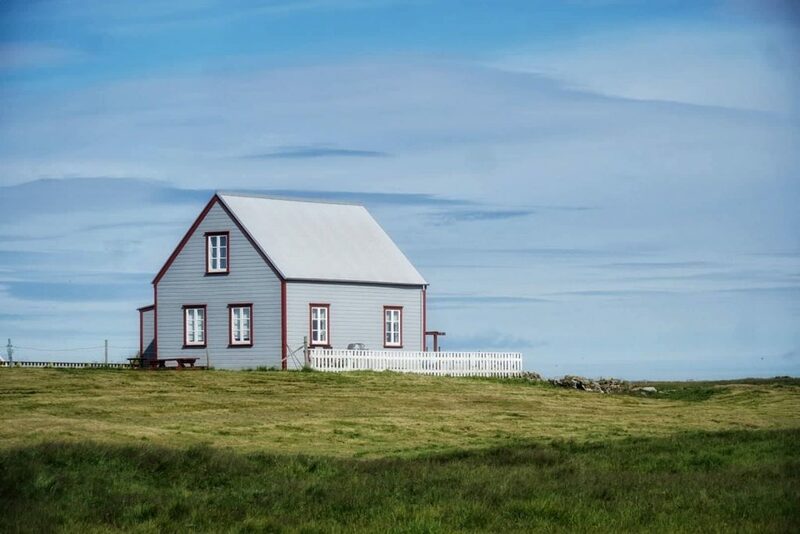 Where to Stay: Fosshotel Hellnar is a fantastic base in the Snæfellsnes peninsula due to its central location – within 20 minutes, you can be at the black church, the Vatnshellir caves, Arnarstapi, or the Lóndrangar cliffs. The restaurant is supposed to be excellent and offers beautiful views over the coast – and if you’re lucky, you may spot a whale from the restaurant as you’re dining. I stayed at a number of Fosshotel properties during my time in Iceland and always found them to be great options: clean, modern rooms with plenty of space to spread out, delicious (and included) breakfasts, speedy WiFi, plentiful parking, and central locations. Check out ratings, reviews, photos, and availability here. 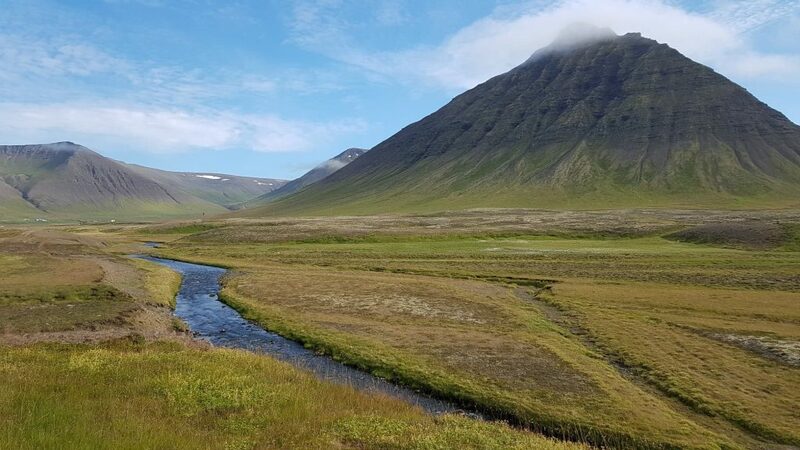 Ready to start heading towards the Westfjords? 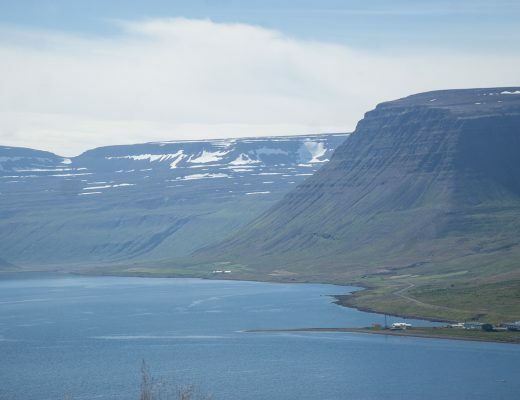 There are two ways to get to the Westfjords: several hours of driving along Highway 60 or taking the beautiful Baldur ferry to cut off 200 kilometers of driving distance between you and the Westfjords. Considering how much driving is still yet to come on your 7 days in Iceland, I highly recommend taking the ferry, not least because it offers you the unique opportunity to stop off on the picture-perfect Flatey Island in the middle of Breiðafjörður Bay. 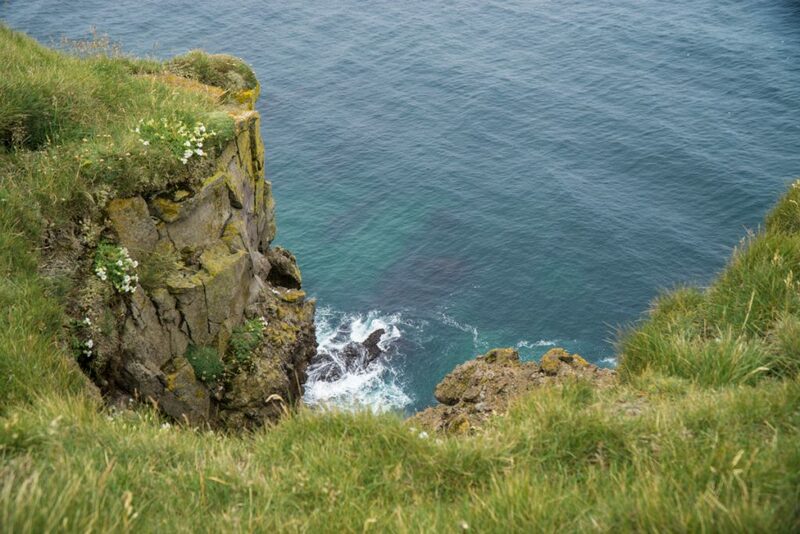 Start your day with a drive to Stykkishólmur, which is about one hour away from Hellnar. This peaceful harbor town is where you can catch the ferry over to Brjánslækur, cutting your driving distance by several hundred kilometers. While the 9 AM ferry requires an early morning, try giving yourself at least an extra 30 minutes and try to get there early in the morning so you have time to photograph the beautiful harbor town before boarding the ferry. Of course, the ferry isn’t the cheapest option at 4,460 ISK (about ~$40) per adult, plus an additional 4,460 ISK for the car. However, considering the high price of fuel, that will offset the price a bit. A stopover in Flatey comes with no additional charge. I highly recommend taking advantage of the stop in Flatey option on your way to Brjánslækur. Flatey Island is a cute, off the beaten path island about halfway in between Stykkishólmur and Brjánslækur, in the middle of the beautiful Breiðafjörður Bay. Flatey Island is the only inhabited island of the 3,000 or so islands and islets that dot Breiðafjörður Bay. This bay separates the Snæfellsnes Peninsula from the beginning of the Westfjords region and cuts down the drive time between the two regions of Iceland significantly while offering stunning views to boot. Should you choose to stop in Flatey Island, they will give you a small envelope where you write your name and license plate number and place your keys in. Go down to the bottom level of the ferry, where the restaurant is, and drop off your keys with the restaurant. This is because no cars are allowed on Flatey Island. They will drive your car off the boat for you and leave it at the ferry dock in Brjánslækur. When you get back on the ferry when you leave Flatey Island, you can pick your keys back up at the restaurant, and when you disembark you’ll see your car waiting for your in Brjánslækur – it’s super easy. Should you choose to make the stop in Flatey, you will have about 7 hours to explore the island, which is more than enough (it’s a small island!). I recommend starting your day in Flatey by walking into town and photographing the colorful houses, traditional of a 19th-century Icelandic village. Flatey used to be a major commercial fishing hub around the turn of the 20th century, but like many fishing villages of Iceland, its fortunes have waned considerably. It’s now more of a spot for tourism in the summer – albeit a quiet one. 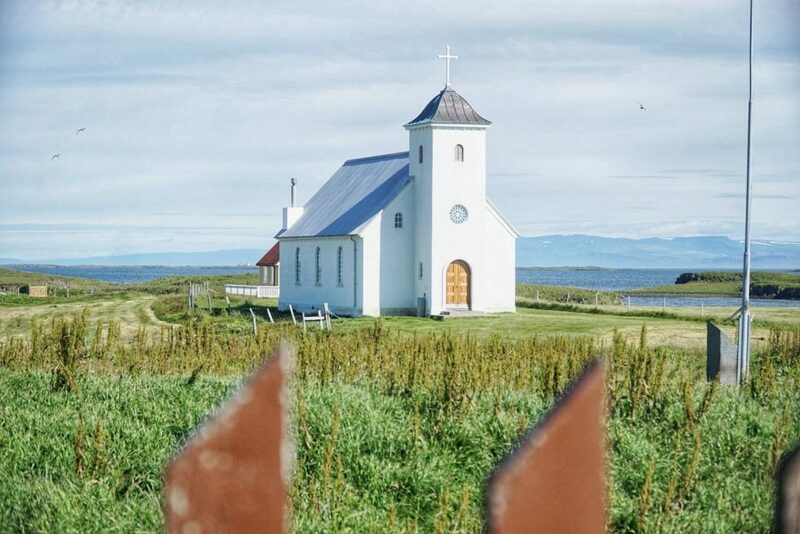 After strolling around the ‘town center’, visit the church and the world’s smallest library, where you can see a copy of the Book of Flatey, an ancient manuscript with one of the famous Icelandic sagas. The library is super cute and it’s pretty amazing that this island with only 2 (!!!) 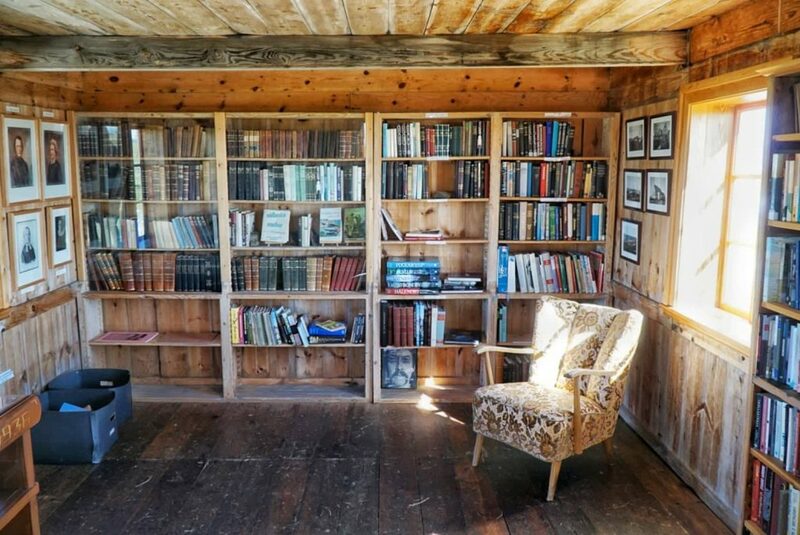 year-round inhabitants has a library all of its own. Of course, being so small, there is no need for a librarian to check out your books. It’s all based on the honor system. There’s also a small, peaceful graveyard where you can walk amongst the graves of those who once called Flatey home. 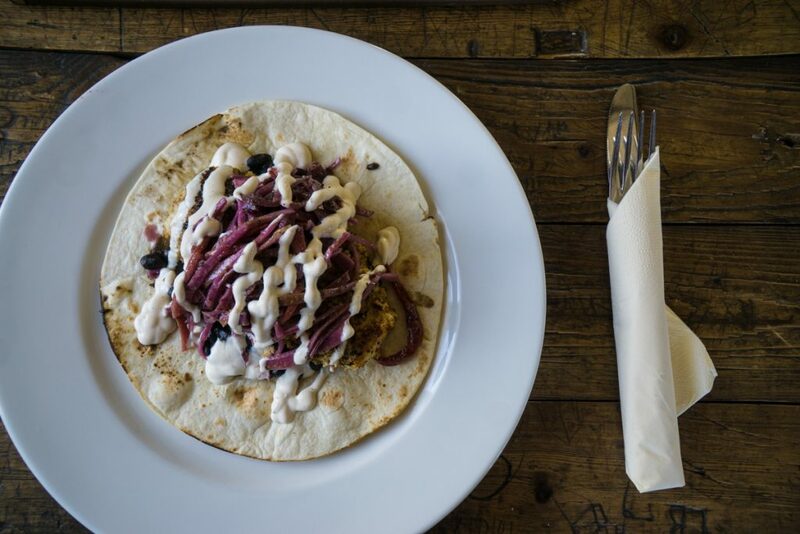 Stop back in town for lunch at the only option in town before you go on your walk around the perimeter of Flatey. I had delicious fresh fish tacos that were surprisingly spicy for Iceland (in a good way!). Afterwards, I made my way around the perimeter of Flatey Island, stopping to photograph errant sheep snacking on seaweed on rugged beaches. The path isn’t super clear, but just walk along the edge of the beach – there’s pretty much no way to get lost on an island like Flatey. I was having a lovely and peaceful walk along the beach when I was startled to stumble across a strange statue. A statue that seemed strangely excited to see me. I’ll admit that when I wasn’t suspecting it, it gave me a creepy, Castaway-ish vibe — not at all helped by the fish skeleton being swarmed by flies at its base. I headed back into town from there to wait for my ferry. 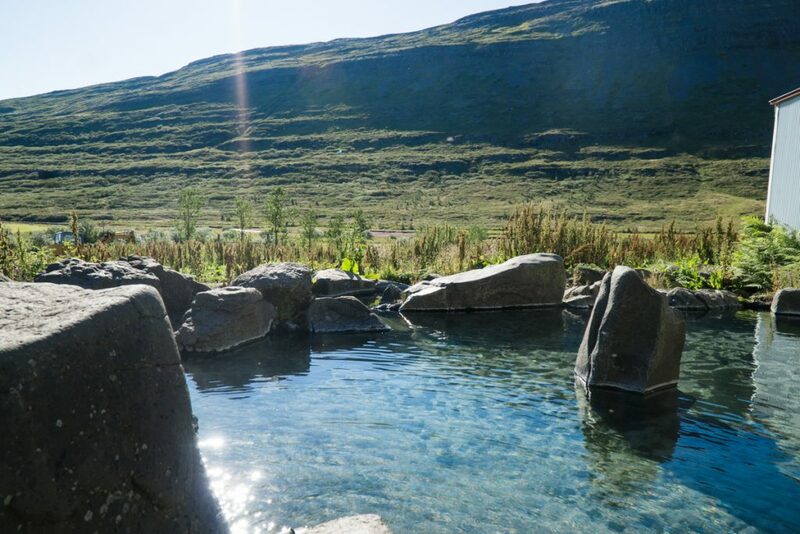 Once you arrive in Brjánslækur, you’re not far from the town of Flókalundur, outside of which you’ll find the Hellulaug hot springs. After my day on Flatey I was feeling exhausted and just wanted to head to my hotel in Patreksfjörður so I gave it a pass. If you have the energy, this looks like one of the better natural geothermal pools in Iceland. A lot of the geothermal pools I’d see later would be more akin to actual hot tubs, just fed with geothermal water. I like that Helluaug is actually a natural formation, which gives it a more rugged, otherwordly feel in my opinion. Even with a population of 660, Patreksfjörður is actually the largest city in the southern Westfjords – that’s how off the beaten path this part of your Iceland itinerary is. I didn’t spend too much time in Patreksfjörður, mostly using it as a convenient crash pad for the next day’s activities. Patreksfjörður is a great place to stop and rest your head, as it’s in between several highlights of the Westfjords, namely the Látrabjarg bird cliffs, the Rauðasandur red sand beach, and the world-famous Dynjandi waterfall. Where to Stay: I stayed at another Fosshotel, Fosshotel Westfjords in Patreksfjörður. As with my previous Fosshotel experience, it was excellent: spacious and clean rooms with gorgeous views over Patreksfjörður, which is beautiful even by the insanely high Westfjords standards. There’s a hotel restaurant (always super convenient after a long day of driving! ), rooms with gorgeous fjord views, friendly staff, and ultra-generous included breakfasts. Check out photos, rates, availability, and reviews here. On your first full day in the Westfjords, get ready for beautiful places — and terrifying drives. I’m not going to sugarcoat it – nearly every single place on this list had roads that had me nearly in tears. If you’re not a pansy American like I am who is used to driving on monstrous 8-lane highways, you’ll probably be fine. But I had spent 4 days in the Faroe Islands prior to my Iceland trip, and I found these roads even more terrifying than anything I encountered in the Faroes. Still, the rough roads will be worth it – these are some of the most beautiful places in the entire Westfjords. Just drive slowly and take it easy – you’re in no rush. There isn’t much driving distance in pure kilometers between these places, but it will take you some time just due to the poor quality of the roads. Still, the outstanding views everywhere you look will egg you on, so be brave and put your car to use! Note: I had a 4 wheel drive during my time in Iceland, but I don’t think it’s entirely necessary – none of these roads are 4×4 mandatory, and renting a 4×4 can incur a lot of extra rental fees. However, when you rent a car, you will want a car that is not super low to the ground. I was in a Toyota RAV4, and it was perfect. There are lots of potholes in the gravel roads, and no matter how careful you are, you’ll inevitably hit one or two a little faster than you were intending. Having a car with high suspension will help immensely. I had been looking forward to the Látrabjarg Cliffs since I began planning my Iceland trip. I knew I’d be in Iceland at the beginning of August, which is technically still puffin season. However — I missed the puffins by a few weeks. I was pretty devastated to be honest, especially because the drive to Látrabjarg is neither easy, on the way, nor quick. To be sure you see the puffins, visit in June or July, when they are far more likely to be nesting. Otherwise, in early August they may have already left for their seasonal migration, like they did in my case. Climate change affects several things – bird migration patterns being one of them – so give yourself an extra buffer and go right in the middle of puffin season if you are dead-set on seeing puffins while you are in Iceland. That said, even though I didn’t spot even one puffin at Látrabjarg, I don’t regret going. The landscape is remarkable. 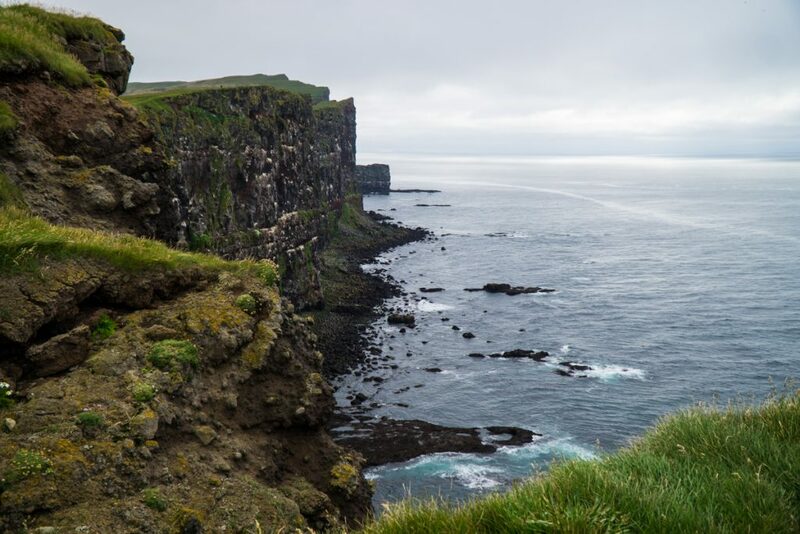 The Látrabjarg cliffs are the westernmost point in Iceland, and with the exception of the Azores islands, they are the westernmost point in all of Europe. The road out there feels every bit the end of the world. And the water there was stunningly blue, despite the clouds overhead. Be sure to stop in Breiðavík on your way to Látrabjarg. 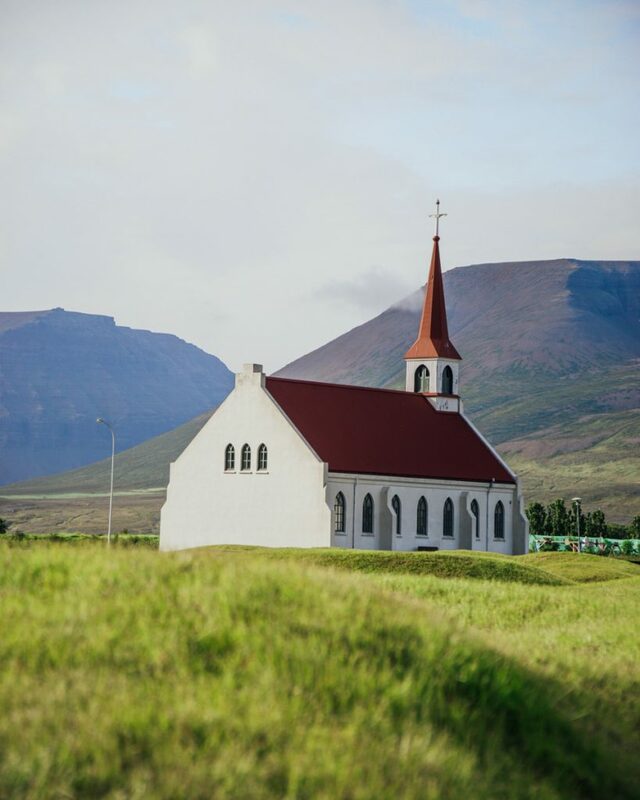 The views of the bay are absolutely stunning, plus the setting of the small town church against the backdrop of the bird cliffs is one of the most beautiful views in all of Iceland. Iceland was forged in fire, the result of volcanic activity over the span of many millennia. As a result, most of Iceland’s beaches are made of black sand – which is beautiful. But that means that a red sand beach like you’ll find at Rauðasandur is especially rare. I’ll be frank, though – while it’s called ‘red sand,’ I think in reality, it’s more of a Sahara-ish orange, and even that depends on the light. If you are there on a moody dark day, the sand won’t have its distinctive orange hue that separates it from other beaches in Iceland. With that in mind, and the fact that this beach is located 10 kilometers (each way) from the main road, down a crappy gravel road with some of the scariest hairpin turns I’ve ever seen, I’d only really recommend going to this beach on a day with excellent weather, or all the effort may be for nothing. The day I went was pretty gray, so the sand wasn’t that amazingly vibrant, but in photos I’ve seen of it in the sunshine it is extremely beautiful! If you’re lucky on a sunny day, there are some hundred-odd seals who like to sunbathe on the beach – but bring a zoom lens, as they aren’t known for being friendly! 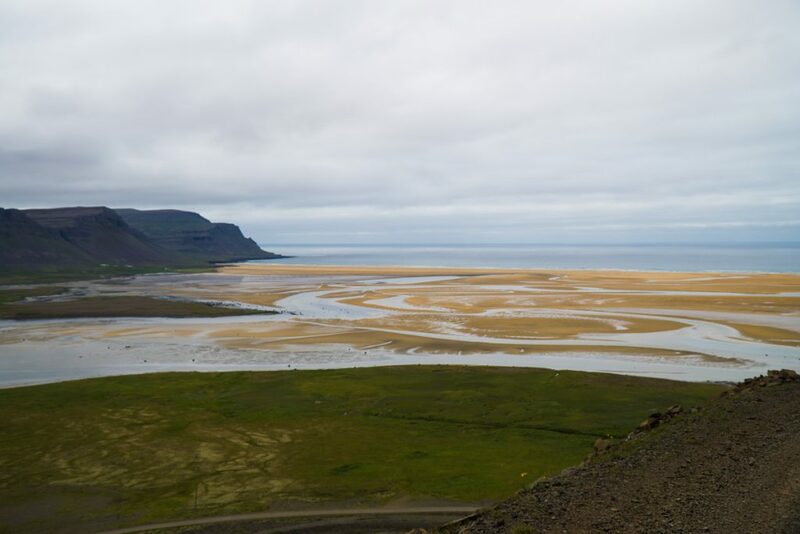 You can do a seal-watching tour of Rauðasandur which also includes transportation from Patreksfjörður, so if you’re terrified of the drive this is a great option! If there is one photograph that emblematizes the Westfjords, it’s Dynjandi. Literally meaning “thunderous” in Icelandic, never has a name been more apt. This is one powerful waterfall. Dynjandi is actually a composite of seven waterfalls, but the main waterfall is the real show-stealer. With a total height of 100 meters, it spans out like a bridal veil, starting at a width of 30 meters and spanning outwards to 60 meters at the bottom of the ‘veil’. There are several angles where you can get amazing photos, and despite being the most photogenic place in the Westfjords, when I went there actually weren’t very many tourists – maybe some 20 or 30 or so, who are easy to avoid given the massive size of this waterfall. After the wonderful Dynjandi, you’ll end up in the peaceful village of Þingeyri, a driving distance of about 30 more minutes past Dynjandi. If you’re hungry – and I’d be surprised if you weren’t after so much driving – stop by Simbahöllin café for their incredible authentic Belgian waffles (one of the owners is from Belgium!). They also serve soups and a delicious-looking lamb tagine for dinner. Rest up because tomorrow you’ll start the day early with a horse ride in the lovely valley of Þingeyri. 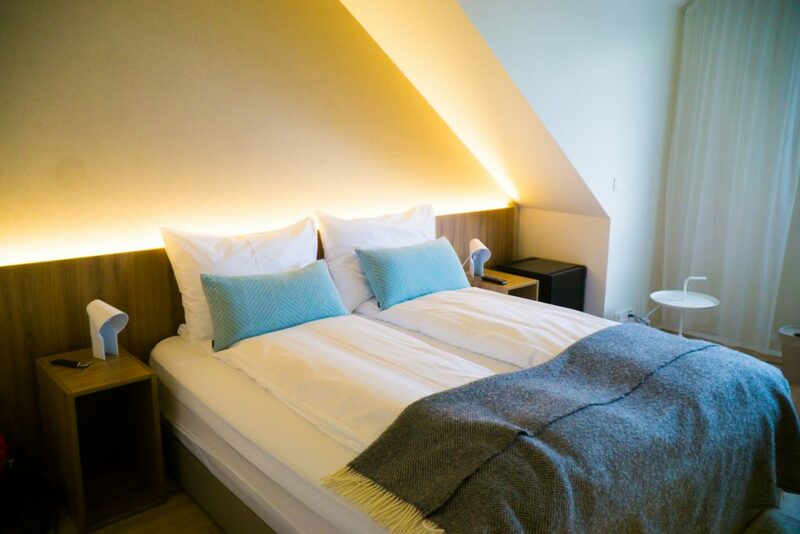 Where to Stay: I stayed in Hótel Sandafell in the small town of Þingeyri – which, in a town as tiny as Þingeyri, is literally your only option. The in-house restaurant is excellent and served up delicious pizza at surprisingly affordable prices for Iceland. My room was small but comfortable, with everything I needed for a short stay. The staff was lovely and the breakfast, as usual in Iceland, was super generous and got me fueled up for a big day of adventure ahead. Check out reviews, photos, rates, and availability here. After many days with tons of driving, you’re in for a treat – the next two days are low on the driving and high on the relaxing and enjoying. Today’s Iceland itinerary brings you to the tiny towns of Flateyri and Bolungarvík before settling down in the “capital” of the Westfjords, Ísafjörður. 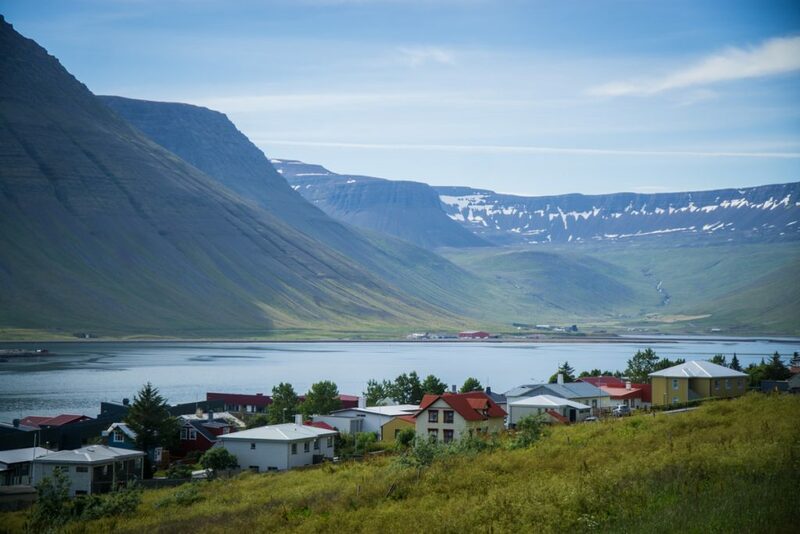 Ísafjörður has only 2,000 or so residents, but it feels properly huge after all the tiny towns that you will have seen elsewhere in the Westfjords! 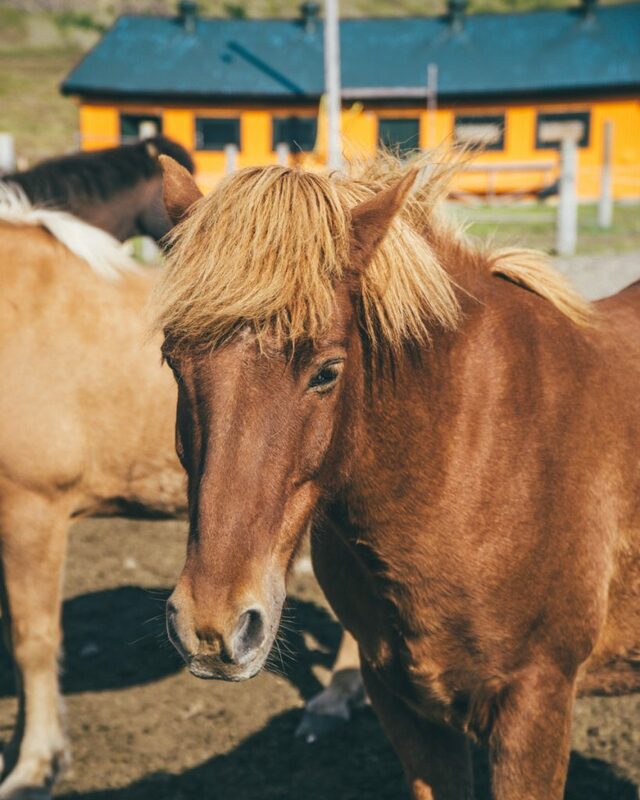 Simbahöllin is not just a café but also a horse stable – and they have some of the sweetest horses in Iceland, against some of the most beautiful backdrops in the country. 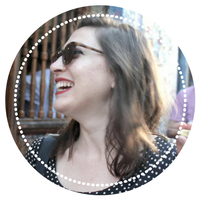 While I have a lot of experience riding horses, my last horse experience was, quite frankly, terrifying — I ended up riding a nearly feral horse around the island of Gili Air while it spooked and bucked at everything, all without proper protective gear. I shared my reservations with my guide at Simbahöllin and she kindly made sure I got a horse who wouldn’t give me too much trouble – a beginner-friendly horse without a lot of attitude, whose only character flaw is stopping too much to eat grass (same, dude, same). I wish I could pronounce his name without butchering it to give him the credit he deserves — but I will always remember that little dude. Icelandic horses are amazing and unique in the world, the result of 1,000 years of isolated breeding. They’re a bit squat and short, a little chunky but super muscular – all the better for surviving those harsh Icelandic winters. And they have super cool mohawks and a hell of a lot of swag. With my guide, we went on a ride for about an hour and a half through the beautiful valley in Þingeyri, from the stables, across a few rivers, and nearly to the beach before heading back. We even tried tölting, a special gait that only Icelandic horses have (they have 5 gaits; most horses have only 4). Tölting is somewhere between a trot and a run, way smoother than a trot, but also way sillier looking — like an insanely fast walk. It’s super smooth and super fun, and something you can only experience with an Icelandic horse. I was sad to leave my horse friends (not to mention the lovely dogs who kept them company) but soon it was time for the next stop on my Iceland itinerary! After tearing yourself away from your beautiful horse friends and promising to never forget them, make your way over to the cute town of Flateyri. It’s about 30 minutes of driving along some of the most scenic parts of the Westfjords, Önundarfjörður. I mean, this is literally what the drive to Flateyri looks like. It’s insane. Flateyri is an interesting place. Established as a trading post in 1792, the town thrived during the 1800s as it was the base for several fisheries, particularly shark-hunting and whaling. The town once numbered some 500 or so people, but the population has been trickling away from Flateyri slowly. A massive avalanche in 1995 killed 20 people and destroyed much of the town, causing many people to move away; the subsequent financial crisis in the 2000s ended up encouraging even more people to leave Flateyri as employment opportunities diminished. Tourism is one of the few remaining industries left in Flateyri. 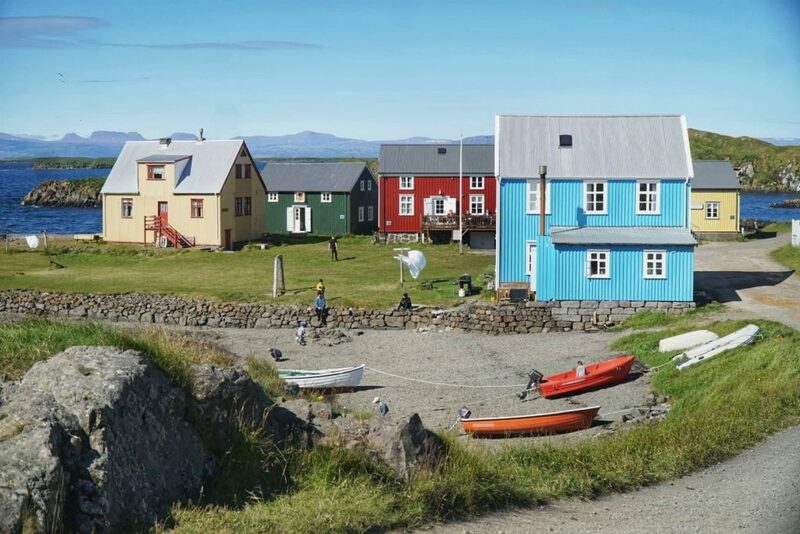 The town of Flateyri is tiny and quiet, but the town packs a lot for tourists to see in its diminutive size of just a few blocks. Be sure to check out the bookstore in Flateyri, its most important attraction. It’s the oldest original store in the entire country, and much of it has been preserved in perfect condition since its old days, like an ant trapped in amber. There are a number of other quirky museums in this small town of about 200, including a Nonsense Museum, which has a collection of random bits and bobs such as teaspoons, Pez dispensers, matchbooks, and other random odds and ends. 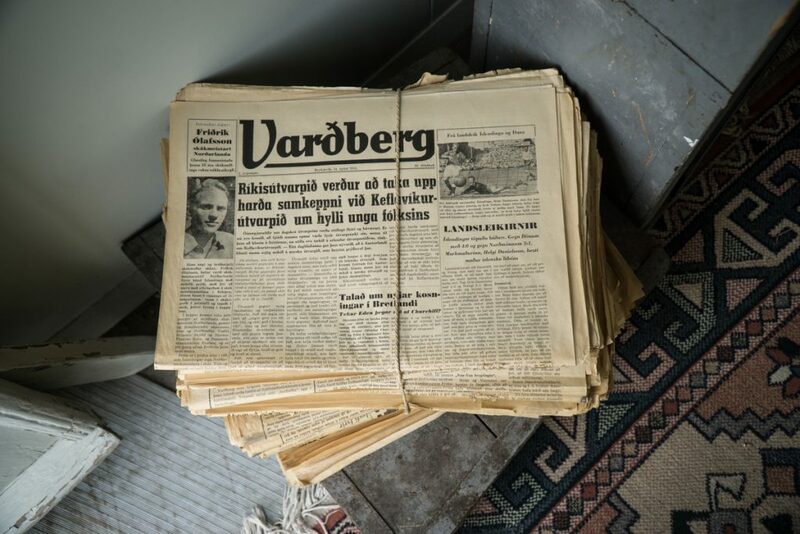 I was in Þingeyri around 11 AM and the museum is only open from 1 PM onwards (and only open in mid-May to mid-September, like much of the Westfjords — the area is almost entirely closed down in the winter due to the harsh weather). There’s also an International Doll Museum with collections of dolls from around the globe, so if you’re a fan of niche museums — Flateyri will be a paradise. Besides the Old Bookstore, I found the town church to be well worth a visit (although it was locked when I was there so I wasn’t able to see inside) with its gorgeous fjord backdrop. I also just enjoyed strolling up and down the main street, Hafnarstræti, and checking out the harbor and other cute sights in town. Flateyri is just adorable – I mean, look at it. 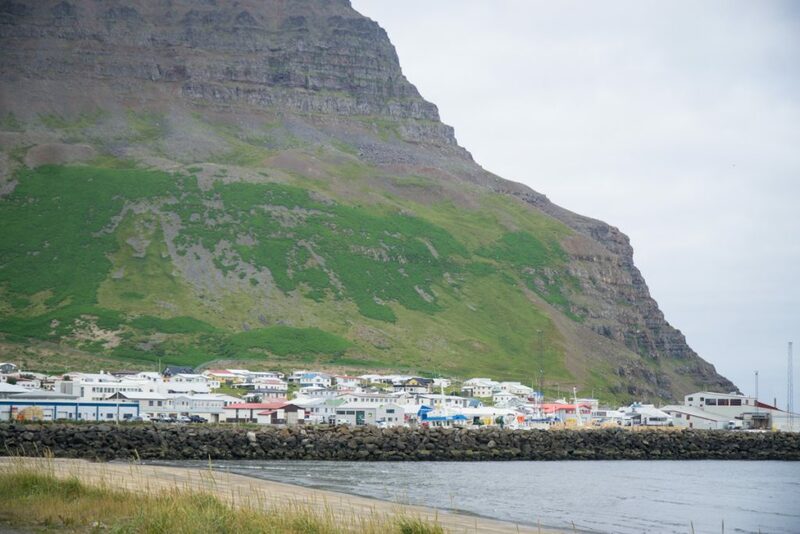 After checking out Flateyri, head on over to the town of Bolungarvík, which with its population of some 900-odd people seems positively bustling after quiet little Flateyri and Þingeyri. 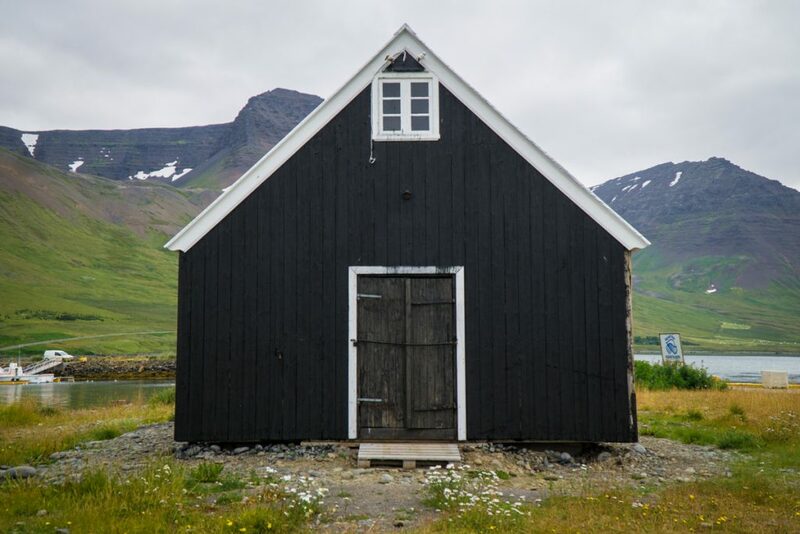 It’s worth checking out the Ósvör, which replicates an old fishing post, which were common in the region around Bolungarvík for much of the 18th and 19th centuries but have since fallen out of fashion with industrialization. 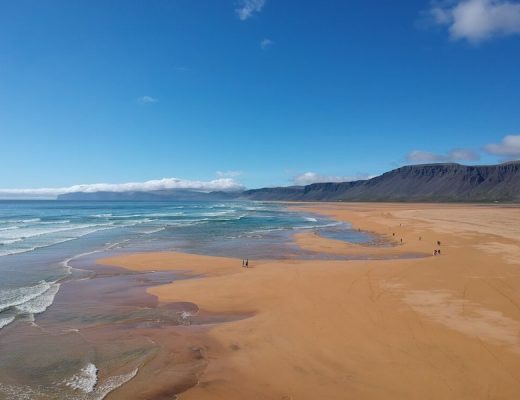 There’s also a beautiful beach in the town which is worth a quick visit, though of course this being Iceland you probably won’t want to go for a dip. Finally, you’ll want to finish your day in the honorary capital of the Westfjords, Ísafjörður. 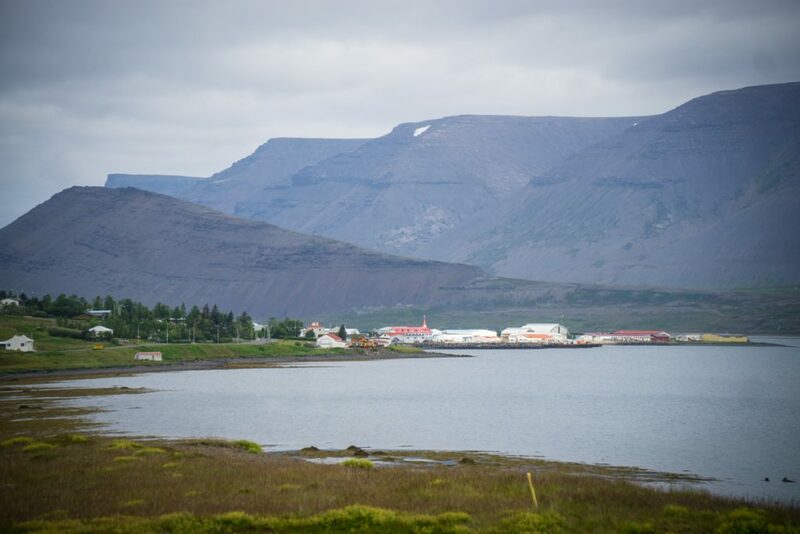 After seeing all these tiny Westfjords villages, Ísafjörður has a real “city” feel – even though it has a population of just 2,600 or so people. While by my standards that’s a small city – more of a town, really – it’s Iceland’s 13th largest, and the largest city in the Westfjords by a long shot. 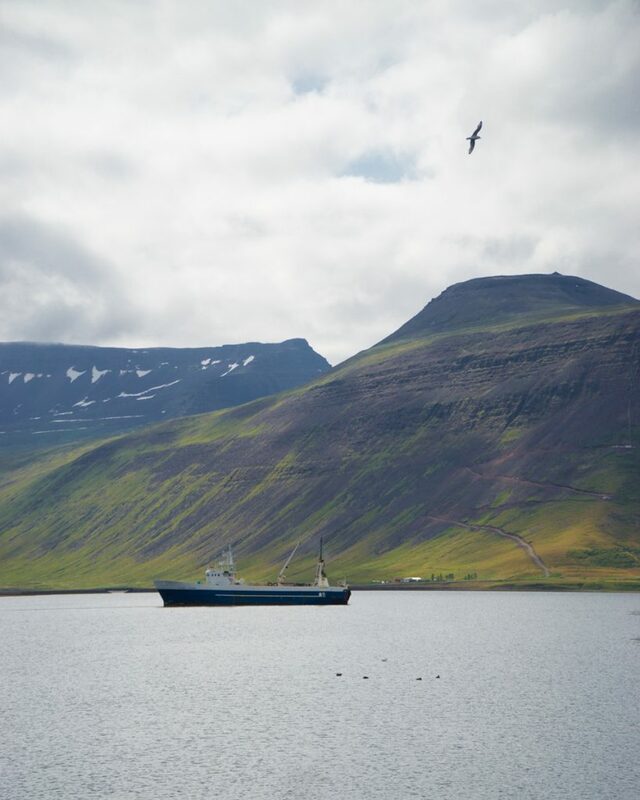 There are quite a few excellent restaurants in Ísafjörður, including the beloved Tjöruhúsið, which supposedly has some of the best seafood in Iceland. But after several days of seafood, I was craving something a little different, and when I discovered there was a small, authentic Thai restaurant in Ísafjörður — I was sold instantly. 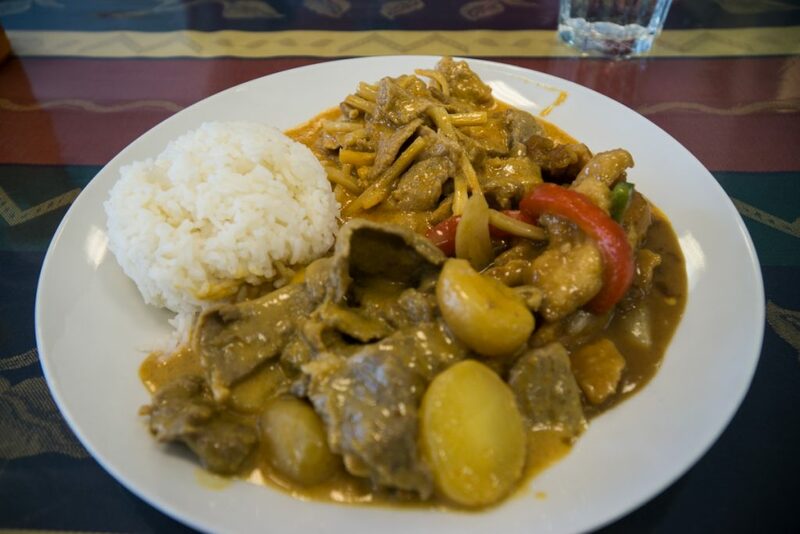 What is authentic Thai food doing in Iceland, you may be wondering? 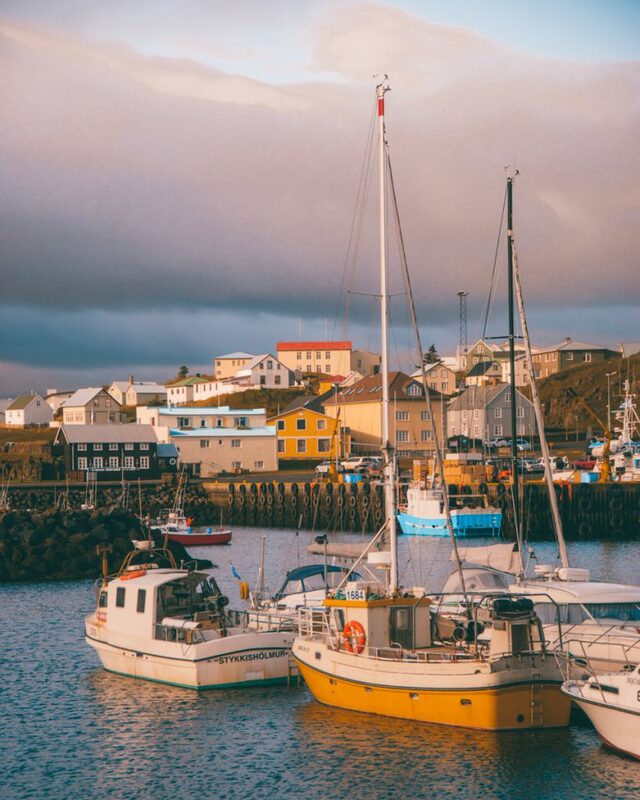 The fishing industry has been falling out of favor with native Icelanders for the last few decades, due to tough working conditions, depopulating seaside villages, and better economic opportunity in Reykjavik. As a result, Eastern European and Southeast Asian immigrants have been filling the gaps in the labor market – and some have brought their cuisines with them. The food I had at Thai Koon was delicious, flavorful and authentic without being overly spicy, but that was easily remedied with a few dashes of the Sriracha on every table. The food was so good – I was able to choose 3 different curries plus a rice for 1500 kronor, about $15 USD – and I had so much leftover that I ended up taking a good half of it home. 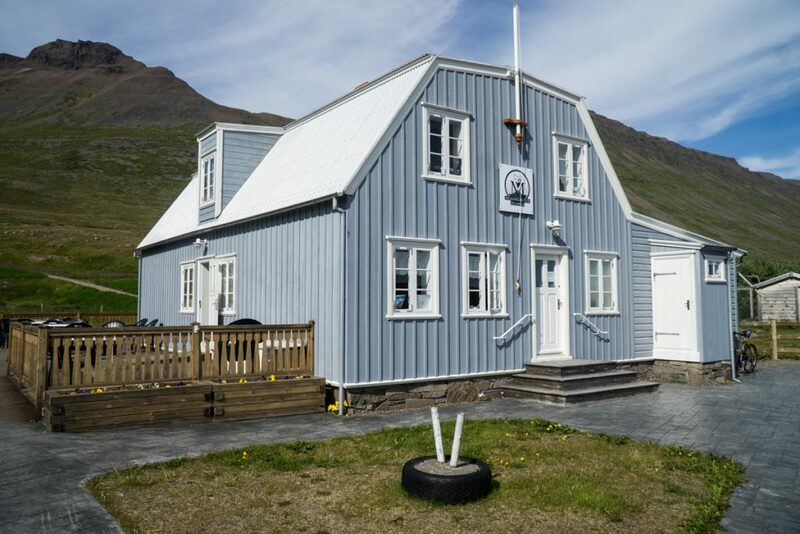 Where to Stay: I stayed at Hotel Edda Ísafjörður and thought it was a great base. My room was cozy and clean and just a short 10-minute walk from central Ísafjörður. The room and bathroom were both quite spacious and I had a nice view of the city. The building lacked a little charm but it was a fine place to rest my head for the evening. Check rates, reviews, availability, and photos here. 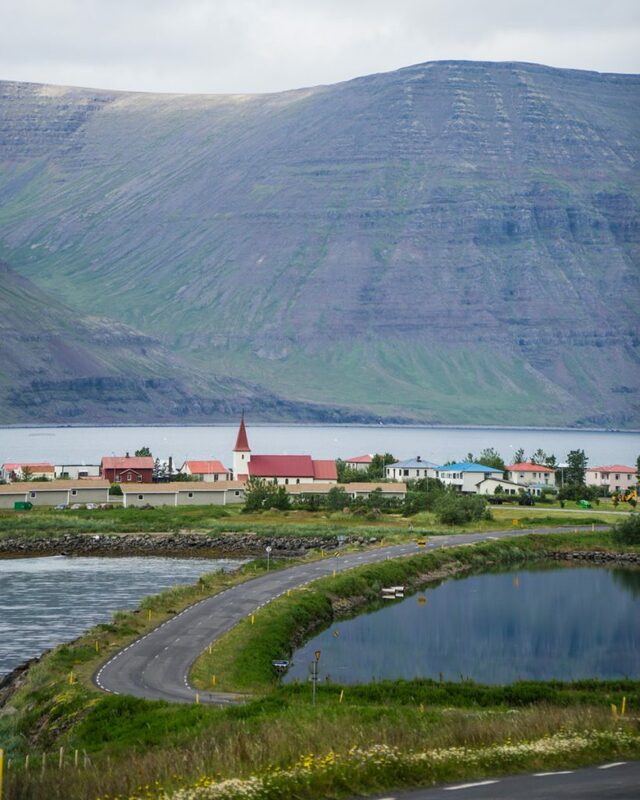 Start your day in Ísafjörður with a leisurely morning walk through the town. 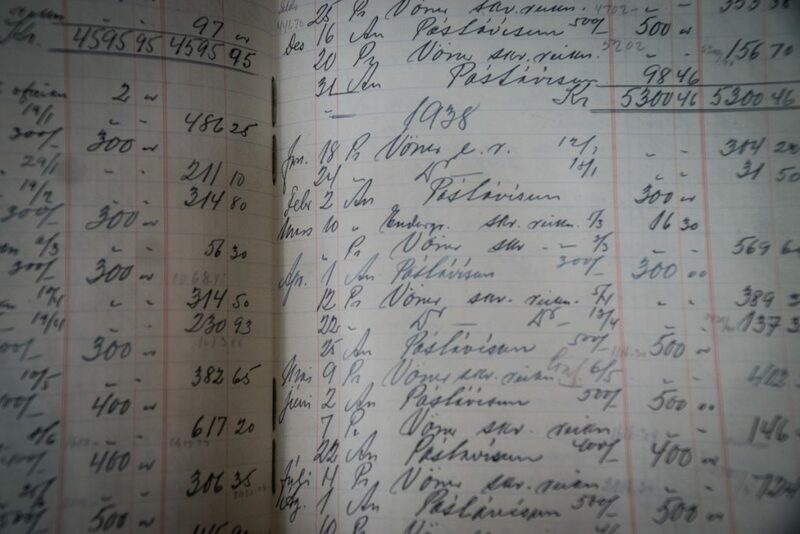 I did a guided walking tour where I learned about the 19th-century history of the town, when it was one of the biggest fishing posts in the prosperous Westfjords. It was helpful to understanding the changing role of cities and towns in the Westfjords throughout the past few hundred years. 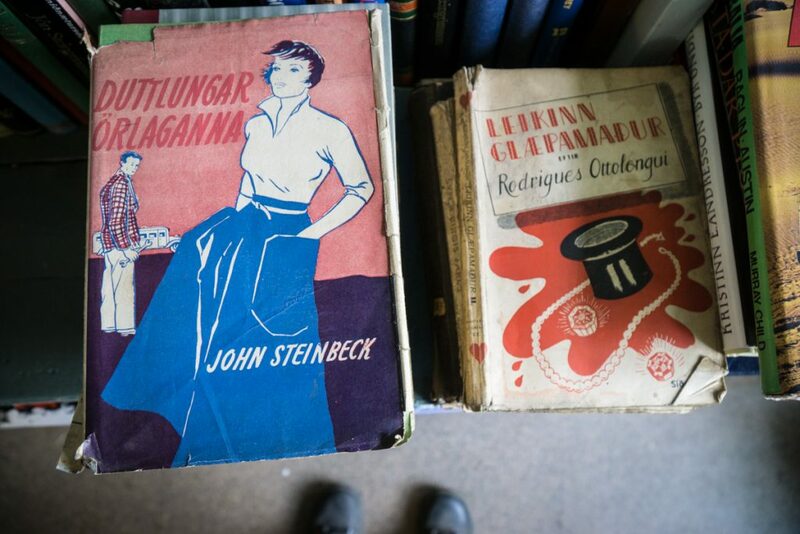 There’s quite a bit to see in Ísafjörður, including the Gamla Bakaríið – the old bakery – and the Culture House, which used to be the local hospital and is often referred to just that way – Gamla Sjúkrahúsið. 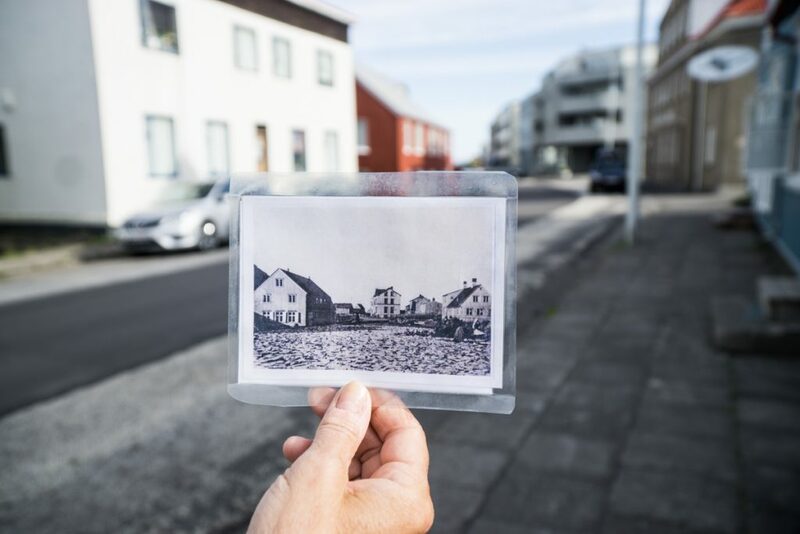 I recommend doing a walking tour so that the history of Ísafjörður isn’t lost on you, but in lieu of that, you can do a self-guided walk down some of the main streets ofÍsafjörður. Aðalstræti is one of the most scenic and bustling streets in town, where you’ll find bakeries, museums, cafés, clothing stores, and cute historic houses. I spent a morning doing some work in the cozy Café Edinborg, which had delicious coffees and a great view over the fjord and harbor. 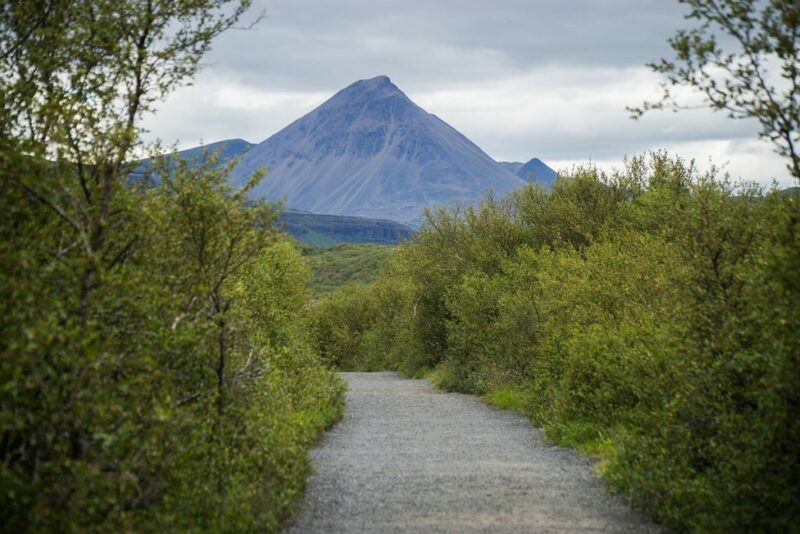 Besides checking out the main street, there are plenty of outdoorsy things to do in Ísafjörður during the summer, such as hiking to Naustahvilft, a depression in the earth in the middle of one of the fjords overlooking the city. 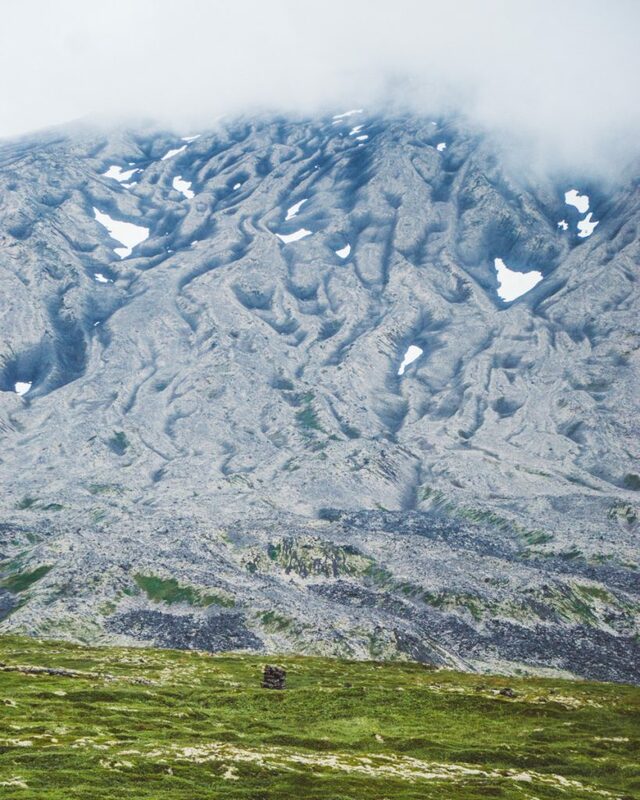 Naustahvilft means “The Troll Seat,” as the legend goes that a troll passing by got tired and sat on the mountain, forever leaving behind a huge ‘seat’ in the earth. This hike gives you one of the best views over Ísafjörður. 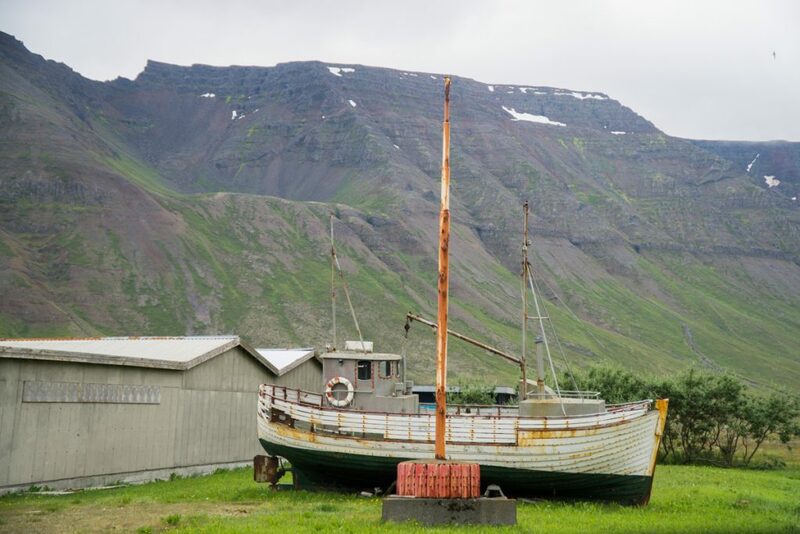 You could also take a boat to Vigur from Ísafjörður, where it’s possible to see tons of native birdlife, including – if you’re lucky – puffins. If you don’t have so much time for a hike, simply strolling around the hills around the town itself is really beautiful. Going up in the hills behind the main ‘highway’, where you can get a scenic view of the city of Ísafjörður sandwiched in between two beautiful fjords. Walking in the hills, you’ll notice the avalanche-prevention mechanisms that have been installed in Ísafjörður and several other villages in the Westfjords such as Flateyri. 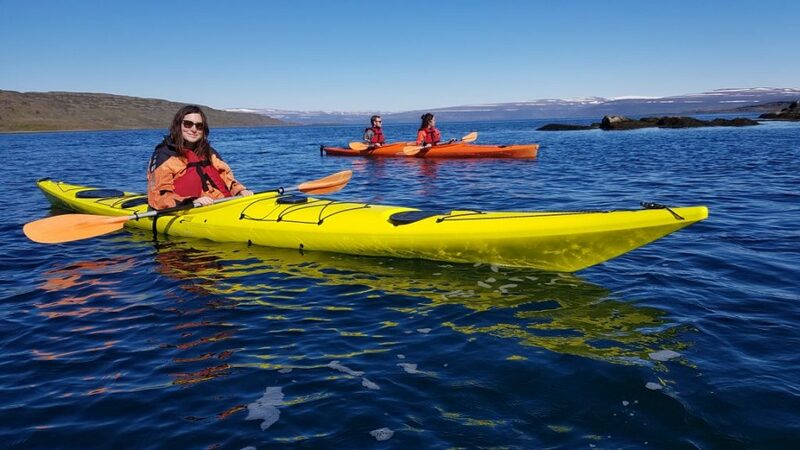 Alternately, you could go calm water kayaking in the fjord, although I went kayaking in Heydalur later on and highly recommend that as well. Walking in these hills, looking down on these fjords, it was amazing for me to remember that for two whole months in the winter, the town of Ísafjörður gets zero sun, as even when the sun rises it rises too close to the horizon to ever make it above the fjord-line. It isn’t until the end of January that this true, dark winter starts to end for Ísafjörður, and residents celebrate with pancakes and coffee to celebrate the return of the sun. Being in a land of such extremes, amongst people who have made these extremes, is humbling. After leaving Ísafjörður, the town of Súðavík feels incredibly small. But it’s not even the smallest town on today’s itinerary! Súðavík is best known for the Arctic Fox Center, which tells the history and present-day reality of Iceland’s only – yes, only – native land mammal. You see, even Iceland’s horses and sheep were imported, and the only native land mammal is the arctic fox, who scientists believe became trapped on Iceland after the last Ice Age, when the frozen-over ocean began to thaw. As a result, the arctic fox has thrived for over 10,000 years, surviving winters where temperatures drop lower than -70 C with relative ease. In fact, the arctic fox doesn’t so much as shiver until the weather drops below -50 C. With no natural predators in Iceland, hunting arctic foxes is permitted and has been an important part of the economy for centuries. Controlling the population of arctic foxes is crucial to ensuring Iceland’s bird life and domestic animals have a chance at survival. There are two arctic foxes who live at the Arctic Fox Center. Their mother was killed by a hunter, who didn’t know she had just had two babies. 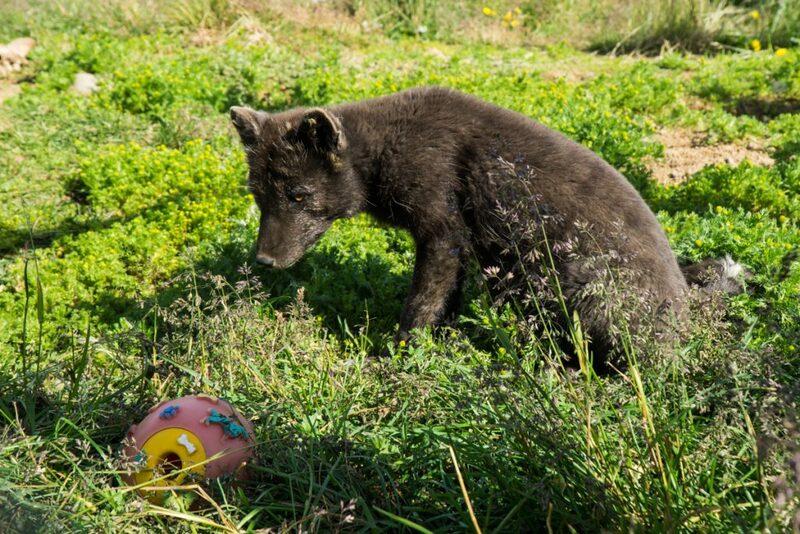 They rescued the babies, but because they were raised by humans, the foxes were never fit to return to the wild, so now they live in Súðavík at the fox center. They’re pretty ridiculously cute, even if they seemed a bit tired in their warm coats in the freakishly warm summer sun that day. Heydalur was one of the highlights of the Westfjords for me. This small ‘town’ isn’t even really a town, but more of a farm turned guesthouse out in the rural countryside, about 12 kilometers off the main road. They offer several activities at Heydalur so it’s perfect for a longer stay if you have time. You can take a horse ride through the scenic landscape or go sea kayaking (which I did the following morning and highly recommend, but more on that later!). You can also hike in the hills, go birdwatching, or simply relax in the geothermal hot springs on the property. Where to Stay: Heydalur Guesthouse is pretty much the only option in the area, but it is a wonderful one! You can camp here or stay in one of their cozy guesthouses. 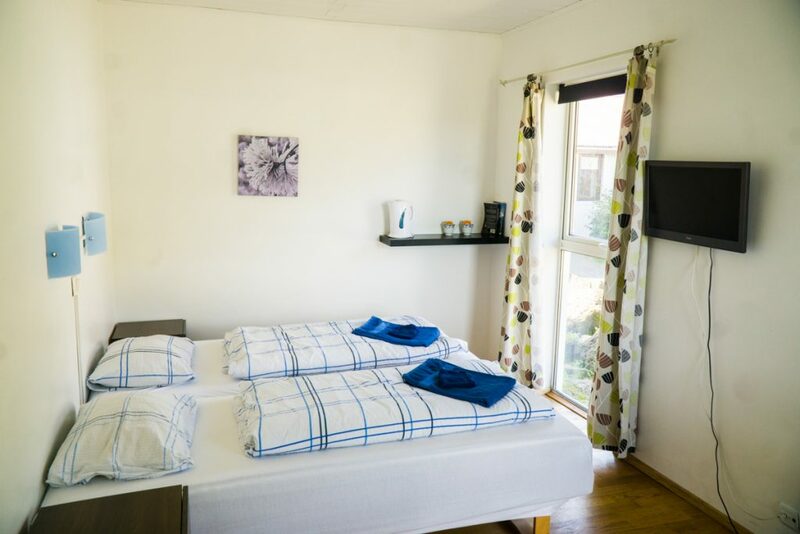 Staying at the guesthouse or camping grounds gives you access to their heated swimming pool and hot pots and they are also able to organize any activities in the area for you. Waking up in quiet Heydalur is definitely the among the highlights of my time in the Westfjords, so I definitely recommend an overnight here. Check reviews, prices, photos, and availability here. There is also a restaurant on the property that served one of the best meals I had in Iceland at a reasonable price for the country. If you have been saving money by cooking for yourself, I’d suggest treating yourself to a meal at the restaurant at Heydalur tonight – it was delicious! They have a greenhouse on the property where they grow a lot of their own vegetables so the food is really local and fresh. It felt like all my Icelandic luck came at once on my final day! The thing about any Iceland itinerary is that so much depends on luck. Whether that’s luck with the weather or luck with spotting certain animals or luck with the Northern lights, you simply can’t plan for everything on your Iceland trip. As my week in Iceland drew to a close, I finally go to tick off several bucket list items all in one go: I saw puffins, arctic seals, humpback whales, and epic waterfalls all in one day. I went sea kayaking in the fjords by Heydalur in the morning and it was probably my favorite thing I did in my entire 7 days in Iceland. 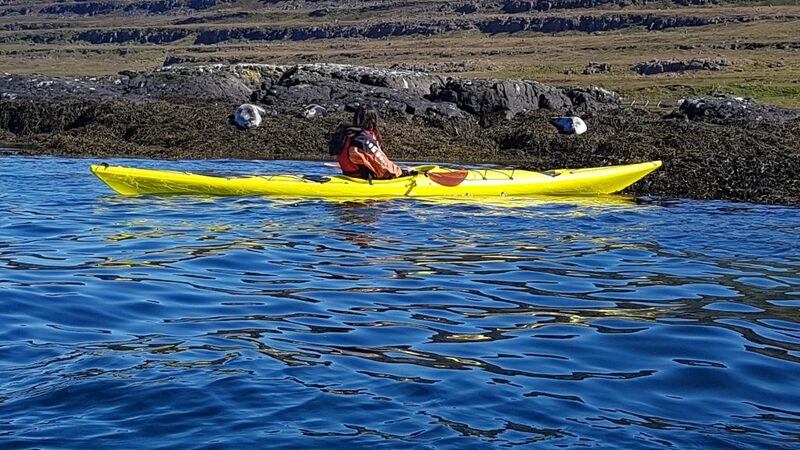 The feeling of kayaking through glassy calm waters just meters from sunbathing seals, as a few errant puffins bobbed on the water or flew past — it was pretty amazing. I don’t know what I was more excited to see, the puffins or the seals, but I was giddy as a child by the end of it. After seeing the arctic seals and puffins in the waters by Heydalur, I thought I had had all the luck I could have for the day. Little did I know how my day would pick up even more after. 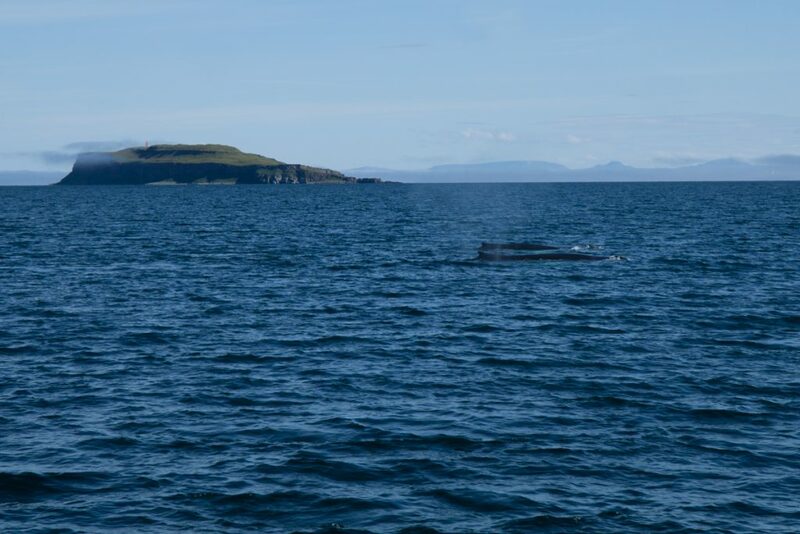 I went with Láki Tours, who have been offering whale watching tours in the Snæfellsnes peninsula of Iceland for years but just recently opened a new outpost of their tours in the Westfjords, in Hólmavík. Check out their tour availability here. Their expertise in whale watching was clear – we were able to track humpback whales nearly our entire two-hour boat ride. Láki Tours does an excellent job of tracking whales without chasing them or getting too close, following ethical whale watching protocol. We were lucky to see several humpbacks during our ride, but most special was that we got to see two whales swimming together. 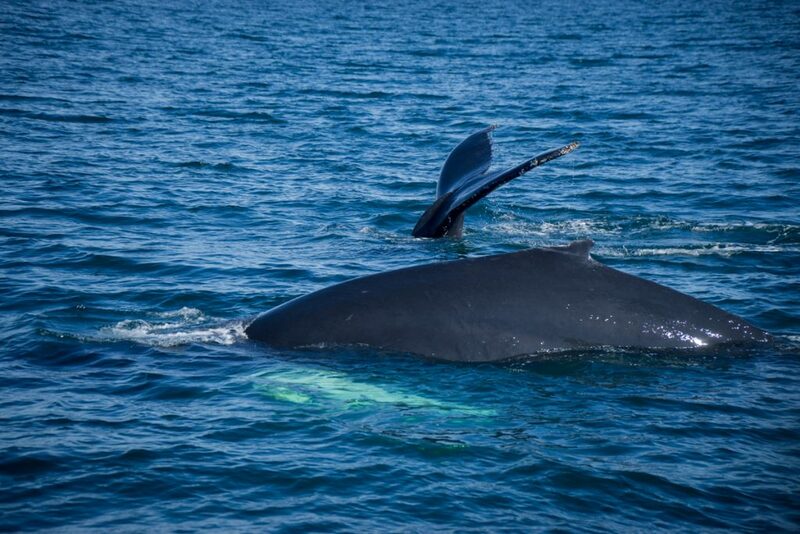 While normally, humpback whales are solitary animals, occasionally two will swim side by side for a few hours. It’s rare to see, so it was pretty special to see these two hanging out! After you’ve finished your whale-watching tour, you could stop back in town for the Museum of Icelandic Sorcery and Witchcraft, which is unique in the region. 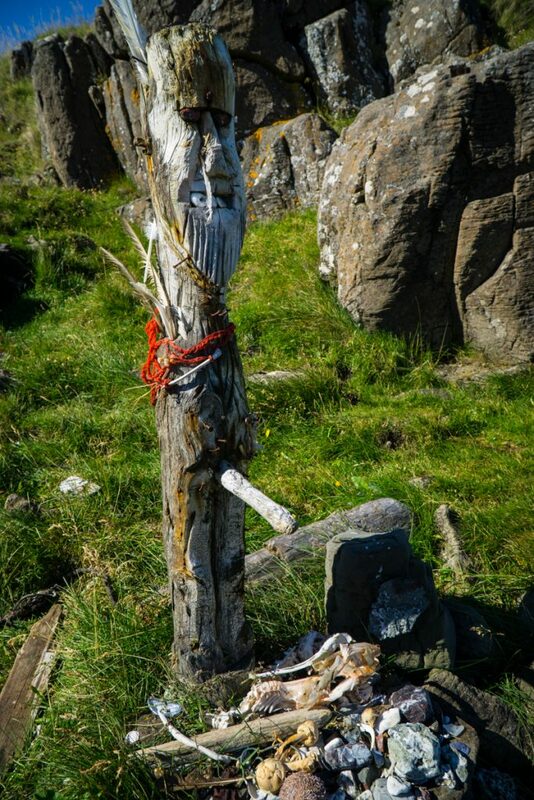 An interesting fact about Iceland is that Hólmavík’s region, Strandir, has historically been one of the most shrouded in mystery in all of Iceland, and where the first execution for sorcery took place in 1652. A witch hunt then swept the region for the rest of the 17th century, taking the lives of 16 men and 1 woman. But easily the most famous (and grossest) part of this museum is the replica of the “Necropants,” made of a dead man’s skin and guaranteed to give the wearer an unending flow of money so long as he wears them! 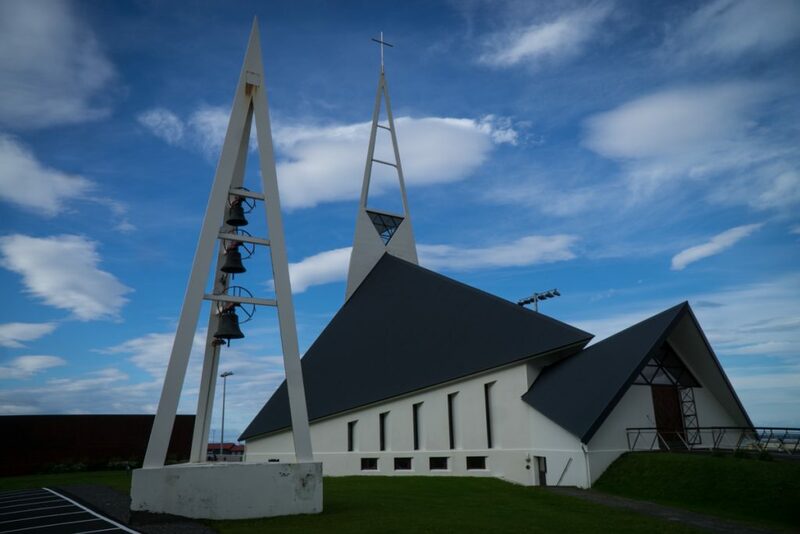 There is also a modern church overlooking the harbor and near the Museum there is a highly-rated seafood restaurant called Galdur if you want to have lunch before the long drive back to Reykjavik! On your way back to Reykavik, you can make several stops for waterfalls and views. I recommend definitely making a stop at Glanni Waterfall, as it’s just off the main road you’ll be using to go back, but it is quite under the radar and not a lot of people know about it so it is quiet compared to a lot of the other waterfalls. It’s nothing particularly spectacular compared to Iceland’s other waterfalls but it is rather scenic and under the radar, so it’s worth the 10 minute stop! To see Barnafoss and Hraunfossar involves adding on an extra hour of driving (30 minutes there and another 30 on the way back) on your way to Keflavík, but I think it’s well worth it, even on a long driving day like this. It is quite popular because it’s only 100 kilometers from Reykjavik, but it’s well worth braving the crowds for. Hraunfossar is a series of gorgeous turquoise waterfalls that began flowing out of a massive lava plain called Hallmundarhraun. 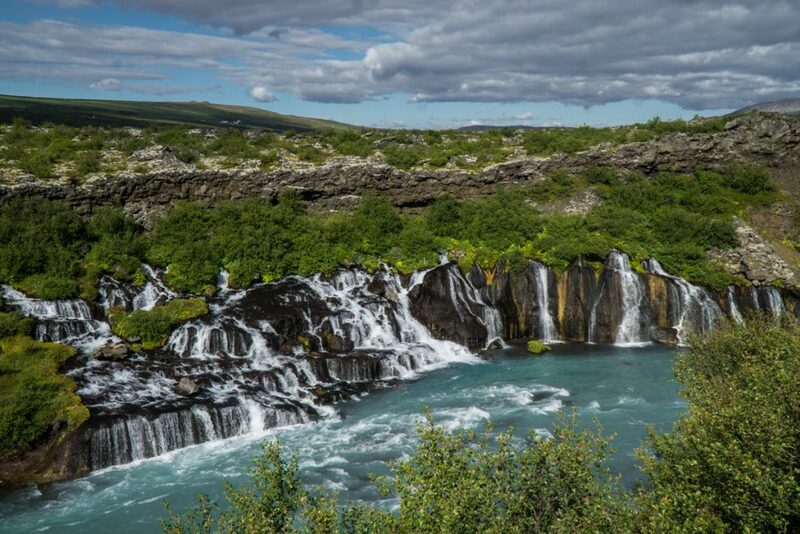 The combination of the lava field plus the waterfalls of Hraunfossar is truly spectacular. 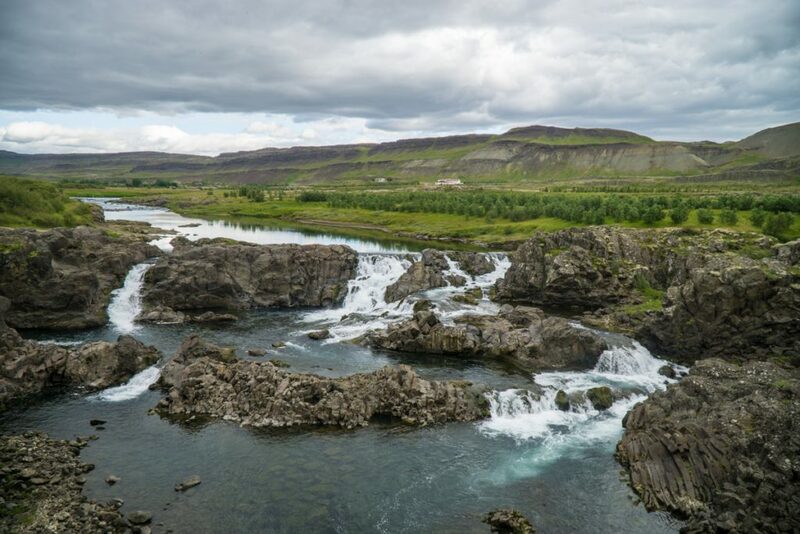 Barnafoss is just a few minutes’ walk past Hraunfossar so you can’t miss it. Barnafoss is an insanely powerful torrent of water that has an incredibly milky blue color, and it’s insanely photogenic. Finally, why not end your offbeat Iceland itinerary with one of Iceland’s most beloved attractions? 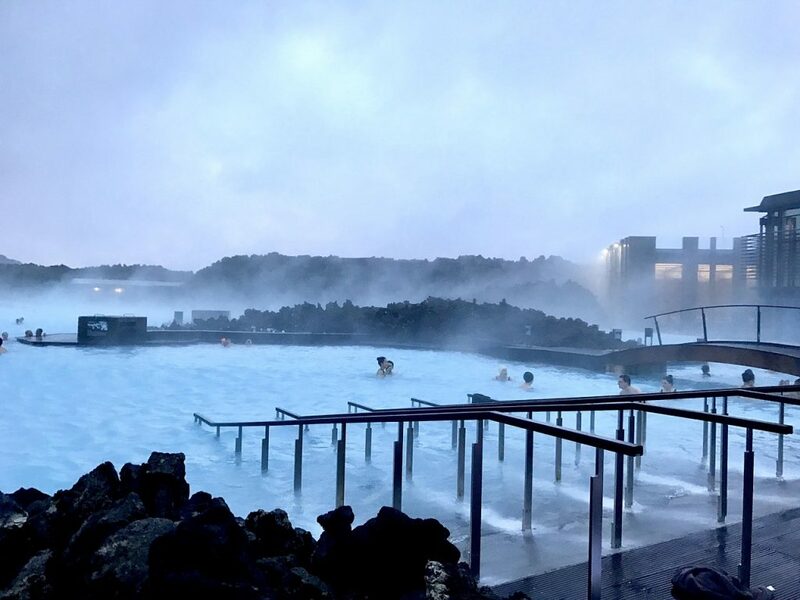 The Blue Lagoon in Iceland is beloved for its geothermally heated, water, enriched with minerals like silica and sulfur that make amazing skin treatments. Contrary to popular belief, the Blue Lagoon is not natural, but rather supplied by water used in the nearby Svartsengi geothermal power station. That doesn’t mean it’s dirty – anything but! It’s pure, mineral-rich water that is renewed every two days. It is pricey, and it is popular, but for many people it’s an Iceland must, so consult your budget and decide. Where to Stay: If you are leaving from Keflavik the next day, I recommend staying in a hotel near the airport and not in Reykjavik. 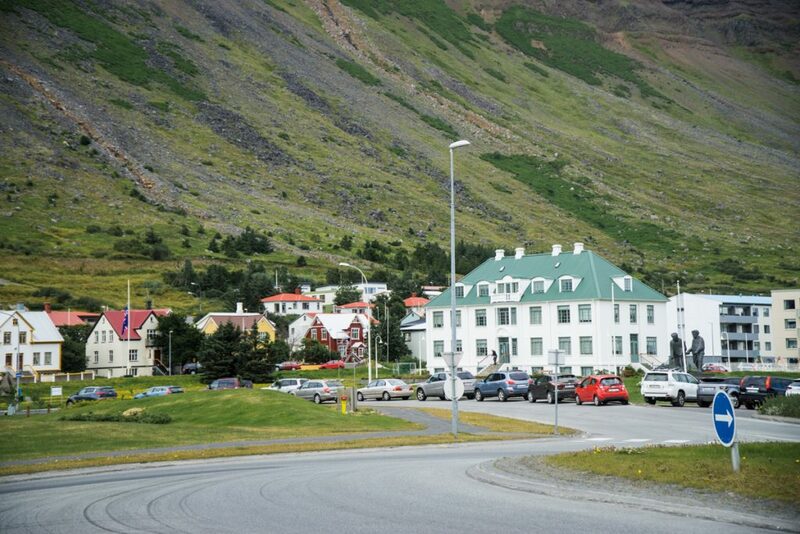 Hotels are cheaper out by the airport plus it is really convenient to just be able to do a short 5 or 10-minute drive to the airport rather than going all the way from Reykjavik, which takes nearly an hour. I stayed at Hotel Berg and thought it was an excellent place to end my Iceland stay. The hotel has a heated roof pool overlooking the harbor which is a great way to end your time in Iceland. The rooms are cozy and spacious, with really lovely design details that made everything feel extra special. I was delighted that breakfast was available from 3 AM on, so if you had an early morning flight (as many WOW air and Icelandair flights depart early) you wouldn’t miss out on getting breakfast before heading to the airport. Check reviews, prices, and availability here. Well, that wraps up an epic 7 days in Iceland’s beautiful West! Is there any place I missed? Have you visited this beautiful part of the country? Let me know in the comments. Note: Thank you to Iceland Travel for sponsoring my stay in the country and providing me with a car, tours, and accommodations during my stay. All opinions remain my own!